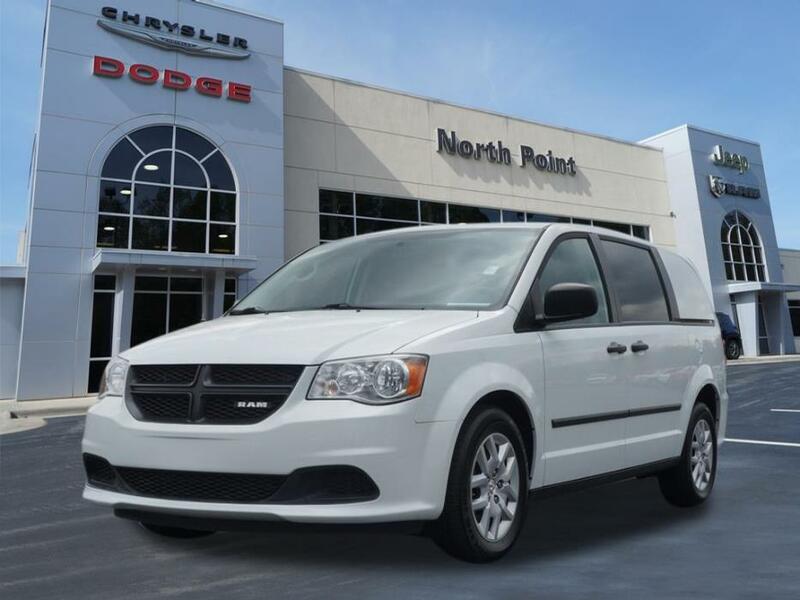 Thank you for viewing our Pre-owned Carfax 1-Owner 2015 Ram Cargo Van TRADESMAN in Bright White Clearcoat with Black / Light Graystone interior! The Cargo Van is a great choice! 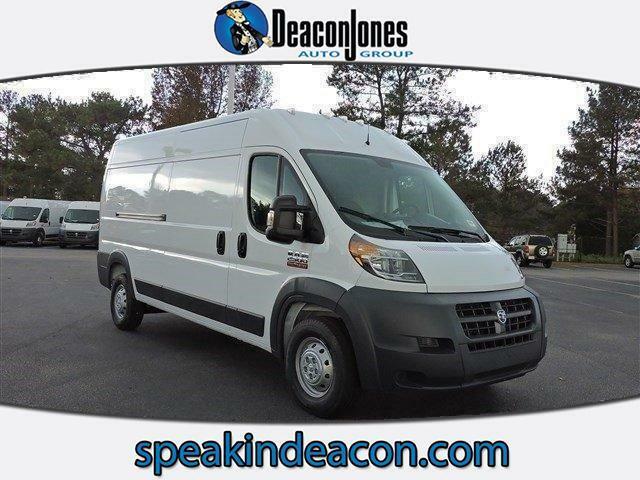 This beautiful Cargo Van comes well-equipped with a 6 Cylinder Engine, Automatic Transmission and 82,787 Miles. Rest assured! All of North Point's pre-owned vehicles are researched and priced regularly using LIVE MARKET PRICING TECHNOLOGY to ensure that you always receive the best overall market value. We have completed the following service work to ensure that you are getting a reliable vehicle: Tires Rotated Balanced, Oil Changed, New Engine Air Filter, New Wiper Blades, and Multi-Point Inspected. Contact us today to check availability and to schedule a hassle-free test drive! Thank you for viewing our new 2017 Ram 1500 Crew Cab V8 Truck! There are currently $5250 in Southeastern Region Cash Rebates including $500 Chrysler Capital Bonus Cash (requires that you finance with Chrysler Capital). You may qualify for many other rebates. Rebates are scheduled to expire on 4/3/2017. Call or email now to confirm your rebates and get your true ePrice! FINANCING AVAILABLE!! 2017 RAM 3500 Tradesman Dually 4x4 Cummins Diesel Crew Cab LB Truck Cloth Seats Uconnect 3.0 Backup Camera Trailer Brake Control Remote Keyless Entry, Stock# 171135 Vehicle Information Stock: 171135 VIN: 3C63RRGL6HG618946 Mileage: Price: $46,225.00 Trans: Automatic Engine: 6.7-Liter I6 Cummins Turbo Diesel Engine Drivetrain: 4WD MSRP: $54,505.00 ? Apply Now Secure Credit Application Applying for a vehicle loan online is one of the quickest and easiest application methods. Our secure application is easy to complete, all you need are a few personal and employment details. Message We are Kernersville Chrysler Dodge Jeep Ram, also known as 31Dodge, and in 2015 we sold over 6000 vehicles via eBay across the USA from our small hometown of Kernersville, North Carolina. We were awarded #1 Ram Truck Dealer in the Southeast two years in a row and third in US sales. As a large volume dealer we can offer you the lowest pricing in the Southeast on used vehicles and some of the best deals on new vehicles. Call our eBay Hotline to get approved today or get cash for your vehicle! Description *********************************************************************************** Note: Do you own a business? Business owners may qualify for extra rebates. Give us a call today to see if you qualify! Please call on our eBay Sales Hotline: (888)-626-0383 for more colors, trims, vehicles and Dealer rebates. *********************************************************************************** When calling or emailing, please reference stock number 171135. On new vehicles we offer free shipping up to 300 miles and competitive rates on shipping outside that range with our professional in-house shippers! Request a shipping quote. Alternatively, we also offer a $500 credit good towards your preferred shipper or towards one airfare ticket to our dealership so you can pick up your vehicle in person and drive it home! Read more on this below. We stock over 1500 vehicles in inventory and can find the right vehicle at the right price for you! Our in-house shippers offer highly competitive shipping rates to all four corners of the US. 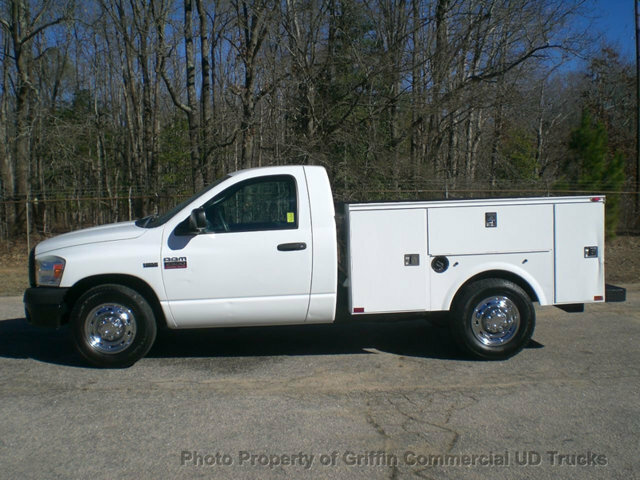 MORE ABOUT THIS 2017 Ram 3500 Tradesman Dually Truck Crew Cab LB DUAL REAR WHEELS! BACKUP CAMERA! 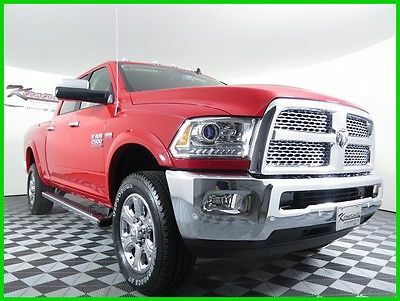 This 2017 RAM 3500 TRADESMAN CREW CAB 4X4 LONG BOX includes the following features: Package: 2FA,Exterior Color: Delmonico Red ,Interior Color: Black / Diesel Gray ,Interior: Cloth 40 / 20 / 40 Bench Seat,Engine: 6.7-Liter I6 Cummins® Turbo Diesel Engine ,Transmission: 6-Speed Automatic 68RFE ,,Advanced Multistage Front Airbags,Anti-Spin Differential Rear Axle,Sentry Key® Theft Deterrent System,Air Conditioning,Media Hub (USB, Aux),6 Speakers,Class V Receiver Hitch, As well as the following options: Tradesman Package 2FA,Chrome Appearance Group,Popular Equipment Group ,Remote Keyless Entry,Uconnect® 3.0,Dual Rear Wheels ,17-Inch x 6.0-Inch Steel Argent Wheels,ParkSense® Rear Park Assist System ,ParkView™ Rear Back-Up Camera ,Trailer Brake Control , and much more! Please check the window sticker for a complete list of equipment. Kernersville Chrysler Dodge Jeep Ram in Kernersville, NC is located in the heart of North Carolina between Charlotte, NC and Raleigh, NC. We specialize in NO hassle out of state purchases; we process your taxes, tags and title work for the city and state where the vehicle will be registered. View the window sticker. WHY BUY ONLINE? We sell over 500 vehicles per month and eighty percent of those vehicles are sold online, with customers never having to step foot inside our dealership! Our professional internet staff is available to assist you with any question or part of the process from start to end. Buying online with us provides convenience and more selection of vehicles at the right price for you. WE HAVE THE BEST PRICES IN THE MARKET! All of our new vehicles include savings and dealer holdback (hidden profit) that are passed on down to you. The price listed includes everything except taxes, tags, and our documentation fee - more on that below. We sell cars all over the world because our prices are the best! GREAT SHIPPING DEALS! On new vehicles we offer free shipping and trade-in pick up within 250 miles from our location in Kernersville, NC. Alternatively, we offer complimentary airfare up to $500 USD and free shuttle pick up at Greensboro, Charlotte, or Raleigh airports. Give us a call to schedule your trip or get a free shipping quote. FINANCING AVAILABLE! When it comes to financing we can normally meet or beat the rate you have (WAC). Give us a try; we are a full service dealer, and we deal with over 40 lenders and do all the heavy work for you. If you finance with us, we will collect all taxes and tags in your State and complete all the paper work for you. You can find our secure application here: finance application. TRADE-IN OFFERS OVER THE PHONE! Give us call to obtain a Site Unseen Trade-in Appraisal and we'll make you an offer over the phone. Make sure to have all basic information regarding your vehicle ready for our internet consultant such as VIN number and condition of the interior and exterior, including tire tread and vehicles history. MORE ABOUT US We are located in the heart of the Triad, between Greensboro, Winston-Salem, and High Point. We sell most of our vehicles online and are proudly the LARGEST heavy-duty truck dealer east of the Mississippi. We have a large inventory and it refreshes from week to week. We have an internet team dedicated to just our online customers and all of their needs. Our Internet team is available Monday-Friday 9AM-8PM EST and Saturday 9AM-6PM EST. If you reach us after hours we will return your call and email promptly on the next business day. We look forward to making you a part of our family! REVIEW ALL TERMS For all new vehicles we will collect all taxes and tags applicable for your State. All taxes and fees must be paid in full in order for vehicle to be titled and registered. We are required to charge ALL customers a documentation fee of $599.50. Please review the Terms of Sale before placing your bid or making an offer. While every reasonable effort is made to ensure the accuracy of this listing, we are not responsible for any errors or omissions contained on this page. Please verify any information in question with Kernersville Chrysler Dodge Jeep Ram prior to bidding! ? ? Terms The information in this listing, including incentives/specials, shipping rates/deals, airline deals, etc. may be subject to change at any point in time and is different from State to State. We ask that you please give us a call or send us an email to ensure the pricing and all deals are correct as of today's date. We make every effort to update everything as soon as changes are made to present accurate information, but may experience a delay due to our sources feeding information through or other reasons out of our direct control. Listed price may also reflect pricing incentives not applicable to all customers. Reflected incentives may include Fast Start Bonus Cash, Month end Bonus Cash, Conquest Bonus Cash, Chrysler Capital Bonus Cash, Owner Loyalty, Up-Fit Bonus cash, Sub-Prime Bonus Cash, Trade-in Bonus Cash and more. We make every effort to present information that is accurate. However, it is based on data provided by the vehicle manufacturer and/or other sources and therefore exact configuration, color, specifications & accessories should be used as a guide only and are not guaranteed. We are not liable for any inaccuracies, claims or losses of any nature. Inventory is subject to prior sale and prices are subject to change without notice and cannot be combined with any other offer(s). The price for listed vehicles as equipped does not include other charges such as: License, Title, Registration Fees, State or Local Taxes, Smog Fees, Credit Investigation, Optional Credit Insurance, Physical Damage of Liability Insurance, Delivery Fees, Finance and/or Documentation Fees. Any and all differences must be addressed prior to the sale of this vehicle. Placing a Bid: Please only bid if you've had your finances pre-approved or have cash on hand. In order to reserve your vehicle it is required to leave a $500 non-refundable deposit within 24 hours of winning the auction. Please do so through Paypal and give us a call immediately. If you do not have pre-approved finances or cash in hand, please contact us FIRST as we can help you obtain financing, and put together a great deal for you. Please read eBay's User Agreement before bidding and the "Finalizing Your Purchase" section below for more information. Kernersville Chrysler Dodge Jeep Ram reserves the right to: Obtain and verify the registered information of all users who bid on this auction and cancel any and all bids at their discretion, or end the auction early if necessary. Bidders Age: You must be 18 years of age or older to Bid. eBay's Bid Retraction Rules: If you place a bid BEFORE the last 12-hour period of the auction, you may retract your bid for exceptional circumstances. If you place a bid during the last 12-hour period of the auction: You will be allowed to retract the bid for exceptional circumstances but only if you do so within one hour after placing the bid. For detailed information on this eBay policy, please read: eBay's "Retracting a Bid" policy on their website. Funds & Financing: For help in arranging a Pre-Approved loan or for any questions please e-mail or call us at 888-626-0383 prior to bidding. Buyers Inspection: Kernersville Chrysler Dodge Jeep Ram has done it's best to disclose all information known about this vehicle for auction. Kernersville Chrysler Dodge Jeep Ram welcomes a buyers inspection. If you plan to have a buyers inspection, please make sure you inspect the vehicle prior to the auction ending and notify us of date/time of the inspection. Inspection fees, if any, are Buyers responsibility. Representations and Warranties made by seller: This vehicle is being sold "as is". Manufacturers warranties may still apply. Extended warranty may be available, e-mail or call us at 888-626-0383 for details. No representations or warranties are made by seller, nor are any representations or warranties relied upon by bidders in making any bids Taxes, Registration and Administrative fees: Used vehicles: Out of state buyers are responsible for all State, county, and city taxes and fees, as well as title service fees in the State that the vehicle will be registered in. New vehicles: We collect all State, county, and city taxes and fees, as well as title service fees on New vehicles. All taxes and fees must be paid in full in order for vehicle to be titled and registered. All Vehicles: We are required to charge ALL customers our Administration fee of $599.50. Title Information: Vehicles titles may be held by banks or lenders as collateral for loans. In many cases there is a delay in receiving the original instruments up to 21 days from the time we pay a vehicle off. While we usually have all titles in our possession at closing, there are occasions where we may be waiting for them to arrive. If payment is made by cashier's or personal checks, we will hold all titles for 10 days or until funds have cleared. Shipping & Delivery: All shipping charges are buyer's responsibility. Kernersville Chrysler Dodge Jeep Ram will help with shipping arrangements but will not be responsible in any way for claims arising from shipping damage. Licensed Carriers are generally insured for $3,000,000.00. We assume no responsibility for damages incurred after the vehicle leaves our showroom. All shipping arrangements are provided by Kernersville Chrysler Dodge Jeep Ram as a courtesy. We are not affiliated with any carrier. Any claims or other communication regarding shipment of vehicles will be between you and the shipper, not with Kernersville Chrysler Dodge Jeep Ram. The amount of time it takes for delivery is dependent on the carrier, but is generally 7-14 days from the date the vehicle is picked up from our facility until it is delivered to your destination. Verify with the shipper for an Estimate Time of Arrival to be sure. Finalizing your Purchase: Successful high bidder MUST communicate with Kernersville Chrysler Dodge Jeep Ram by e-mail or phone 888-626-0383 within 24 hours of the auction ending to make arrangements to complete their transaction. If we cannot confirm your intention to buy or the sale is not completed within 5 days, we reserve the right to relist this vehicle or sell to any other qualified buyer. In order to secure bid on vehicle, successful bidder (BUYER) must send to Seller a Non-refundable Deposit in the amount of $500 by major credit card, cash (in person), bank certified funds or Paypal within 24 hours of bid closing. Within 72 hours of bid closing, Buyer must send remainder balance of funds by bank wire transfer, cash (in person), or bank certified funds to Seller. At time of sending initial deposit, Buyer MUST fax copy of their State issued valid Driver License and contact dealer. Furthermore, before said vehicle is released for shipment to Buyer, all other Sale related and title related paperwork must be signed and returned complete to Seller. Copyright © 2017 Auction123 - All rights reserved. - Disclaimer +- Auction123 (a service and listing/software company) and the Seller has done his/her best to disclose the equipment/condition of this vehicle/purchase. However, Auction123 disclaims any warranty as to the accuracy or to the working condition of the vehicle/equipment listed. The purchaser or prospective purchaser should verify with the Seller the accuracy of all the information listed within this ad. Selling a Vehicle? Create Professional Listings Fast and Easy. Click Here! FINANCING AVAILABLE!! 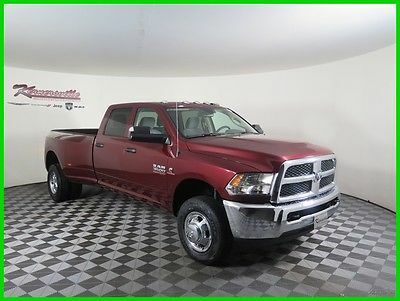 2017 RAM 3500 Tradesman 4x4 Manual Cummins Turbo Diesel Crew Cab LB Truck Cloth Seats Backup Camera Uconnect 3.0 Trailer Brake Control, Stock# 171092 Vehicle Information Stock: 171092 VIN: 3C63RRGL0HG597351 Mileage: Price: $46,285.00 Trans: Manual Engine: 6.7-Liter I6 Cummins Turbo Diesel Engine Drivetrain: 4WD MSRP: $54,455.00 ? Apply Now Secure Credit Application Applying for a vehicle loan online is one of the quickest and easiest application methods. Our secure application is easy to complete, all you need are a few personal and employment details. Message We are Kernersville Chrysler Dodge Jeep Ram, also known as 31Dodge, and in 2015 we sold over 6000 vehicles via eBay across the USA from our small hometown of Kernersville, North Carolina. We were awarded #1 Ram Truck Dealer in the Southeast two years in a row and third in US sales. As a large volume dealer we can offer you the lowest pricing in the Southeast on used vehicles and some of the best deals on new vehicles. Call our eBay Hotline to get approved today or get cash for your vehicle! Description *********************************************************************************** Note: Do you own a business? Business owners may qualify for extra rebates. Give us a call today to see if you qualify! Please call on our eBay Sales Hotline: (888)-626-0383 for more colors, trims, vehicles and Dealer rebates. *********************************************************************************** When calling or emailing, please reference stock number 171092. On new vehicles we offer free shipping up to 300 miles and competitive rates on shipping outside that range with our professional in-house shippers! Request a shipping quote. Alternatively, we also offer a $500 credit good towards your preferred shipper or towards one airfare ticket to our dealership so you can pick up your vehicle in person and drive it home! Read more on this below. We stock over 1500 vehicles in inventory and can find the right vehicle at the right price for you! Our in-house shippers offer highly competitive shipping rates to all four corners of the US. MORE ABOUT THIS 2017 Ram 3500 Tradesman Truck Crew Cab LB BACKUP CAMERA! DUAL REAR WHEELS! 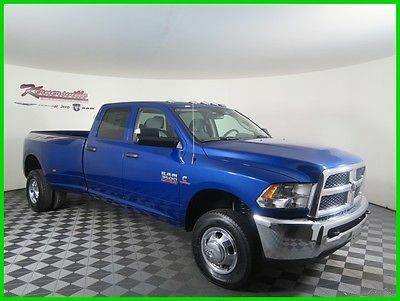 This 2017 RAM 3500 TRADESMAN CREW CAB 4X4 LONG BOX includes the following features: Package: 2EA,Exterior Color: Blue Streak Pearl ,Interior Color: Black / Diesel Gray ,Interior: Cloth 40 / 20 / 40 Bench Seat,Engine: 6.7-Liter I6 Cummins® Turbo Diesel Engine ,Transmission: 6-Speed Manual G56 ,,Advanced Multistage Front Airbags,Anti-Spin Differential Rear Axle,Sentry Key® Theft Deterrent System,Air Conditioning,Media Hub (USB, Aux),6 Speakers,Class V Receiver Hitch, As well as the following options: Tradesman Package 2EA,Chrome Appearance Group ,Popular Equipment Group ,Remote Keyless Entry,Uconnect® 3.0 ,Dual Rear Wheels ,17-Inch x 6.0-Inch Steel Argent Wheels,ParkSense® Rear Park Assist System ,ParkView™ Rear Back-Up Camera,Trailer Brake Control , and much more! Please check the window sticker for a complete list of equipment. Kernersville Chrysler Dodge Jeep Ram in Kernersville, NC is located in the heart of North Carolina between Charlotte, NC and Raleigh, NC. We specialize in NO hassle out of state purchases; we process your taxes, tags and title work for the city and state where the vehicle will be registered. View the window sticker. WHY BUY ONLINE? We sell over 500 vehicles per month and eighty percent of those vehicles are sold online, with customers never having to step foot inside our dealership! Our professional internet staff is available to assist you with any question or part of the process from start to end. Buying online with us provides convenience and more selection of vehicles at the right price for you. WE HAVE THE BEST PRICES IN THE MARKET! All of our new vehicles include savings and dealer holdback (hidden profit) that are passed on down to you. The price listed includes everything except taxes, tags, and our documentation fee - more on that below. We sell cars all over the world because our prices are the best! GREAT SHIPPING DEALS! On new vehicles we offer free shipping and trade-in pick up within 250 miles from our location in Kernersville, NC. Alternatively, we offer complimentary airfare up to $500 USD and free shuttle pick up at Greensboro, Charlotte, or Raleigh airports. Give us a call to schedule your trip or get a free shipping quote. FINANCING AVAILABLE! When it comes to financing we can normally meet or beat the rate you have (WAC). Give us a try; we are a full service dealer, and we deal with over 40 lenders and do all the heavy work for you. If you finance with us, we will collect all taxes and tags in your State and complete all the paper work for you. You can find our secure application here: finance application. TRADE-IN OFFERS OVER THE PHONE! Give us call to obtain a Site Unseen Trade-in Appraisal and we'll make you an offer over the phone. Make sure to have all basic information regarding your vehicle ready for our internet consultant such as VIN number and condition of the interior and exterior, including tire tread and vehicles history. MORE ABOUT US We are located in the heart of the Triad, between Greensboro, Winston-Salem, and High Point. We sell most of our vehicles online and are proudly the LARGEST heavy-duty truck dealer east of the Mississippi. We have a large inventory and it refreshes from week to week. We have an internet team dedicated to just our online customers and all of their needs. Our Internet team is available Monday-Friday 9AM-8PM EST and Saturday 9AM-6PM EST. If you reach us after hours we will return your call and email promptly on the next business day. We look forward to making you a part of our family! REVIEW ALL TERMS For all new vehicles we will collect all taxes and tags applicable for your State. All taxes and fees must be paid in full in order for vehicle to be titled and registered. We are required to charge ALL customers a documentation fee of $599.50. Please review the Terms of Sale before placing your bid or making an offer. While every reasonable effort is made to ensure the accuracy of this listing, we are not responsible for any errors or omissions contained on this page. Please verify any information in question with Kernersville Chrysler Dodge Jeep Ram prior to bidding! ? ? Terms The information in this listing, including incentives/specials, shipping rates/deals, airline deals, etc. may be subject to change at any point in time and is different from State to State. We ask that you please give us a call or send us an email to ensure the pricing and all deals are correct as of today's date. We make every effort to update everything as soon as changes are made to present accurate information, but may experience a delay due to our sources feeding information through or other reasons out of our direct control. Listed price may also reflect pricing incentives not applicable to all customers. Reflected incentives may include Fast Start Bonus Cash, Month end Bonus Cash, Conquest Bonus Cash, Chrysler Capital Bonus Cash, Owner Loyalty, Up-Fit Bonus cash, Sub-Prime Bonus Cash, Trade-in Bonus Cash and more. We make every effort to present information that is accurate. However, it is based on data provided by the vehicle manufacturer and/or other sources and therefore exact configuration, color, specifications & accessories should be used as a guide only and are not guaranteed. We are not liable for any inaccuracies, claims or losses of any nature. Inventory is subject to prior sale and prices are subject to change without notice and cannot be combined with any other offer(s). The price for listed vehicles as equipped does not include other charges such as: License, Title, Registration Fees, State or Local Taxes, Smog Fees, Credit Investigation, Optional Credit Insurance, Physical Damage of Liability Insurance, Delivery Fees, Finance and/or Documentation Fees. Any and all differences must be addressed prior to the sale of this vehicle. Placing a Bid: Please only bid if you've had your finances pre-approved or have cash on hand. In order to reserve your vehicle it is required to leave a $500 non-refundable deposit within 24 hours of winning the auction. Please do so through Paypal and give us a call immediately. If you do not have pre-approved finances or cash in hand, please contact us FIRST as we can help you obtain financing, and put together a great deal for you. Please read eBay's User Agreement before bidding and the "Finalizing Your Purchase" section below for more information. Kernersville Chrysler Dodge Jeep Ram reserves the right to: Obtain and verify the registered information of all users who bid on this auction and cancel any and all bids at their discretion, or end the auction early if necessary. Bidders Age: You must be 18 years of age or older to Bid. eBay's Bid Retraction Rules: If you place a bid BEFORE the last 12-hour period of the auction, you may retract your bid for exceptional circumstances. If you place a bid during the last 12-hour period of the auction: You will be allowed to retract the bid for exceptional circumstances but only if you do so within one hour after placing the bid. For detailed information on this eBay policy, please read: eBay's "Retracting a Bid" policy on their website. Funds & Financing: For help in arranging a Pre-Approved loan or for any questions please e-mail or call us at 888-626-0383 prior to bidding. Buyers Inspection: Kernersville Chrysler Dodge Jeep Ram has done it's best to disclose all information known about this vehicle for auction. Kernersville Chrysler Dodge Jeep Ram welcomes a buyers inspection. If you plan to have a buyers inspection, please make sure you inspect the vehicle prior to the auction ending and notify us of date/time of the inspection. Inspection fees, if any, are Buyers responsibility. Representations and Warranties made by seller: This vehicle is being sold "as is". Manufacturers warranties may still apply. Extended warranty may be available, e-mail or call us at 888-626-0383 for details. No representations or warranties are made by seller, nor are any representations or warranties relied upon by bidders in making any bids Taxes, Registration and Administrative fees: Used vehicles: Out of state buyers are responsible for all State, county, and city taxes and fees, as well as title service fees in the State that the vehicle will be registered in. New vehicles: We collect all State, county, and city taxes and fees, as well as title service fees on New vehicles. All taxes and fees must be paid in full in order for vehicle to be titled and registered. All Vehicles: We are required to charge ALL customers our Administration fee of $599.50. Title Information: Vehicles titles may be held by banks or lenders as collateral for loans. In many cases there is a delay in receiving the original instruments up to 21 days from the time we pay a vehicle off. While we usually have all titles in our possession at closing, there are occasions where we may be waiting for them to arrive. If payment is made by cashier's or personal checks, we will hold all titles for 10 days or until funds have cleared. Shipping & Delivery: All shipping charges are buyer's responsibility. Kernersville Chrysler Dodge Jeep Ram will help with shipping arrangements but will not be responsible in any way for claims arising from shipping damage. Licensed Carriers are generally insured for $3,000,000.00. We assume no responsibility for damages incurred after the vehicle leaves our showroom. All shipping arrangements are provided by Kernersville Chrysler Dodge Jeep Ram as a courtesy. We are not affiliated with any carrier. Any claims or other communication regarding shipment of vehicles will be between you and the shipper, not with Kernersville Chrysler Dodge Jeep Ram. The amount of time it takes for delivery is dependent on the carrier, but is generally 7-14 days from the date the vehicle is picked up from our facility until it is delivered to your destination. Verify with the shipper for an Estimate Time of Arrival to be sure. Finalizing your Purchase: Successful high bidder MUST communicate with Kernersville Chrysler Dodge Jeep Ram by e-mail or phone 888-626-0383 within 24 hours of the auction ending to make arrangements to complete their transaction. If we cannot confirm your intention to buy or the sale is not completed within 5 days, we reserve the right to relist this vehicle or sell to any other qualified buyer. In order to secure bid on vehicle, successful bidder (BUYER) must send to Seller a Non-refundable Deposit in the amount of $500 by major credit card, cash (in person), bank certified funds or Paypal within 24 hours of bid closing. Within 72 hours of bid closing, Buyer must send remainder balance of funds by bank wire transfer, cash (in person), or bank certified funds to Seller. At time of sending initial deposit, Buyer MUST fax copy of their State issued valid Driver License and contact dealer. Furthermore, before said vehicle is released for shipment to Buyer, all other Sale related and title related paperwork must be signed and returned complete to Seller. Copyright © 2017 Auction123 - All rights reserved. - Disclaimer +- Auction123 (a service and listing/software company) and the Seller has done his/her best to disclose the equipment/condition of this vehicle/purchase. However, Auction123 disclaims any warranty as to the accuracy or to the working condition of the vehicle/equipment listed. The purchaser or prospective purchaser should verify with the Seller the accuracy of all the information listed within this ad. Selling a Vehicle? Create Professional Listings Fast and Easy. Click Here! FINANCING AVAILABLE!! 2016 Ram 2500 Laramie 4x4 V8 Mid Duty HEMI Crew Cab Truck Navigation Leather Backup Camera Towing Package, Stock# 160895 Vehicle Information Stock: 160895 VIN: 3C6UR5FJ0GG176970 Mileage: Price: $46,876.00 Trans: Automatic Engine: 6.4-Liter V8 Mid Duty HEMI MDS Engine Drivetrain: 4WD MSRP: $57,175.00 ? Apply Now Secure Credit Application Applying for a vehicle loan online is one of the quickest and easiest application methods. Our secure application is easy to complete, all you need are a few personal and employment details. Message We are Kernersville Chrysler Dodge Jeep Ram, also known as 31Dodge, and in 2015 we sold over 6000 vehicles via eBay across the USA from our small hometown of Kernersville, North Carolina. 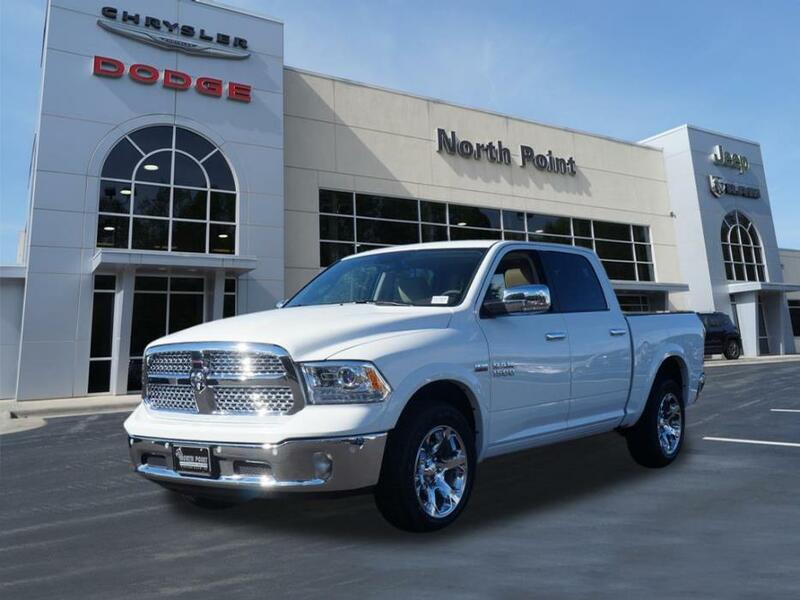 We were awarded #1 Ram Truck Dealer in the Southeast two years in a row and third in US sales. As a large volume dealer we can offer you the lowest pricing in the Southeast on used vehicles and some of the best deals on new vehicles. Call our eBay Hotline to get approved today or get cash for your vehicle! Description *********************************************************************************** Note: Do you own a business? Business owners may qualify for extra rebates. Give us a call today to see if you qualify! Please call on our eBay Sales Hotline: (888)-626-0383 for more colors, trims, vehicles and Dealer rebates. *********************************************************************************** When calling or emailing, please reference stock number 160895. On new vehicles we offer free shipping up to 300 miles and competitive rates on shipping outside that range with our professional in-house shippers! Request a shipping quote. Alternatively, we also offer a $500 credit good towards your preferred shipper or towards one airfare ticket to our dealership so you can pick up your vehicle in person and drive it home! Read more on this below. We stock over 1500 vehicles in inventory and can find the right vehicle at the right price for you! Our in-house shippers offer highly competitive shipping rates to all four corners of the US. MORE ABOUT THIS 2016 Ram 2500 Laramie Truck Crew Cab NAVIGATION! LEATHER INTERIOR! This 2016 RAM 2500 LARAMIE CREW CAB 4X4 includes the following features: Package: 22H, Engine: 6.4-Liter V8 Mid Duty HEMI® MDS Engine, Transmission: 6-Speed Automatic Transmission, Interior: Leather-Trimmed Bucket Seats, 9 Alpine Speakers with Subwoofer, Towing Package, Trailer Brake Control, Heated Front Seats, Ventilated Front Seats, SD Card, USB, and Aux Ports, Heated Steering Wheel, Rear Back-Up Camera, As well as the following options: Uconnect 8.4 inch Touch Screen with Navigation, Spray-In Bedliner, 20-Inch x 8.0-Inch Polished Aluminum Wheels, Remote Start System, Anti-Spin Differential Rear Axle, Heated Second-Row Seats, Remote Proximity Keyless Entry, and much more! Please check the window sticker for a complete list of equipment. Kernersville Chrysler Dodge Jeep Ram in Kernersville, NC is located in the heart of North Carolina between Charlotte, NC and Raleigh, NC. We specialize in NO hassle out of state purchases; we process your taxes, tags and title work for the city and state where the vehicle will be registered. View the window sticker. WHY BUY ONLINE? We sell over 500 vehicles per month and eighty percent of those vehicles are sold online, with customers never having to step foot inside our dealership! Our professional internet staff is available to assist you with any question or part of the process from start to end. Buying online with us provides convenience and more selection of vehicles at the right price for you. WE HAVE THE BEST PRICES IN THE MARKET! All of our new vehicles include savings and dealer holdback (hidden profit) that are passed on down to you. The price listed includes everything except taxes, tags, and our documentation fee - more on that below. We sell cars all over the world because our prices are the best! GREAT SHIPPING DEALS! On new vehicles we offer free shipping and trade-in pick up within 250 miles from our location in Kernersville, NC. Alternatively, we offer complimentary airfare up to $500 USD and free shuttle pick up at Greensboro, Charlotte, or Raleigh airports. Give us a call to schedule your trip or get a free shipping quote. FINANCING AVAILABLE! When it comes to financing we can normally meet or beat the rate you have (WAC). Give us a try; we are a full service dealer, and we deal with over 40 lenders and do all the heavy work for you. If you finance with us, we will collect all taxes and tags in your State and complete all the paper work for you. You can find our secure application here: finance application. TRADE-IN OFFERS OVER THE PHONE! Give us call to obtain a Site Unseen Trade-in Appraisal and we'll make you an offer over the phone. Make sure to have all basic information regarding your vehicle ready for our internet consultant such as VIN number and condition of the interior and exterior, including tire tread and vehicles history. MORE ABOUT US We are located in the heart of the Triad, between Greensboro, Winston-Salem, and High Point. We sell most of our vehicles online and are proudly the LARGEST heavy-duty truck dealer east of the Mississippi. We have a large inventory and it refreshes from week to week. We have an internet team dedicated to just our online customers and all of their needs. Our Internet team is available Monday-Friday 9AM-8PM EST and Saturday 9AM-6PM EST. If you reach us after hours we will return your call and email promptly on the next business day. We look forward to making you a part of our family! REVIEW ALL TERMS For all new vehicles we will collect all taxes and tags applicable for your State. All taxes and fees must be paid in full in order for vehicle to be titled and registered. We are required to charge ALL customers a documentation fee of $599.50. Please review the Terms of Sale before placing your bid or making an offer. While every reasonable effort is made to ensure the accuracy of this listing, we are not responsible for any errors or omissions contained on this page. Please verify any information in question with Kernersville Chrysler Dodge Jeep Ram prior to bidding! ? ? Terms The information in this listing, including incentives/specials, shipping rates/deals, airline deals, etc. may be subject to change at any point in time and is different from State to State. We ask that you please give us a call or send us an email to ensure the pricing and all deals are correct as of today's date. We make every effort to update everything as soon as changes are made to present accurate information, but may experience a delay due to our sources feeding information through or other reasons out of our direct control. Listed price may also reflect pricing incentives not applicable to all customers. Reflected incentives may include Fast Start Bonus Cash, Month end Bonus Cash, Conquest Bonus Cash, Chrysler Capital Bonus Cash, Owner Loyalty, Up-Fit Bonus cash, Sub-Prime Bonus Cash, Trade-in Bonus Cash and more. We make every effort to present information that is accurate. However, it is based on data provided by the vehicle manufacturer and/or other sources and therefore exact configuration, color, specifications & accessories should be used as a guide only and are not guaranteed. We are not liable for any inaccuracies, claims or losses of any nature. Inventory is subject to prior sale and prices are subject to change without notice and cannot be combined with any other offer(s). The price for listed vehicles as equipped does not include other charges such as: License, Title, Registration Fees, State or Local Taxes, Smog Fees, Credit Investigation, Optional Credit Insurance, Physical Damage of Liability Insurance, Delivery Fees, Finance and/or Documentation Fees. Any and all differences must be addressed prior to the sale of this vehicle. Placing a Bid: Please only bid if you've had your finances pre-approved or have cash on hand. In order to reserve your vehicle it is required to leave a $500 non-refundable deposit within 24 hours of winning the auction. Please do so through Paypal and give us a call immediately. If you do not have pre-approved finances or cash in hand, please contact us FIRST as we can help you obtain financing, and put together a great deal for you. Please read eBay's User Agreement before bidding and the "Finalizing Your Purchase" section below for more information. Kernersville Chrysler Dodge Jeep Ram reserves the right to: Obtain and verify the registered information of all users who bid on this auction and cancel any and all bids at their discretion, or end the auction early if necessary. Bidders Age: You must be 18 years of age or older to Bid. eBay's Bid Retraction Rules: If you place a bid BEFORE the last 12-hour period of the auction, you may retract your bid for exceptional circumstances. If you place a bid during the last 12-hour period of the auction: You will be allowed to retract the bid for exceptional circumstances but only if you do so within one hour after placing the bid. For detailed information on this eBay policy, please read: eBay's "Retracting a Bid" policy on their website. Funds & Financing: For help in arranging a Pre-Approved loan or for any questions please e-mail or call us at 888-626-0383 prior to bidding. Buyers Inspection: Kernersville Chrysler Dodge Jeep Ram has done it's best to disclose all information known about this vehicle for auction. Kernersville Chrysler Dodge Jeep Ram welcomes a buyers inspection. If you plan to have a buyers inspection, please make sure you inspect the vehicle prior to the auction ending and notify us of date/time of the inspection. Inspection fees, if any, are Buyers responsibility. Representations and Warranties made by seller: This vehicle is being sold "as is". Manufacturers warranties may still apply. Extended warranty may be available, e-mail or call us at 888-626-0383 for details. No representations or warranties are made by seller, nor are any representations or warranties relied upon by bidders in making any bids Taxes, Registration and Administrative fees: Used vehicles: Out of state buyers are responsible for all State, county, and city taxes and fees, as well as title service fees in the State that the vehicle will be registered in. New vehicles: We collect all State, county, and city taxes and fees, as well as title service fees on New vehicles. All taxes and fees must be paid in full in order for vehicle to be titled and registered. All Vehicles: We are required to charge ALL customers our Administration fee of $599.50. Title Information: Vehicles titles may be held by banks or lenders as collateral for loans. In many cases there is a delay in receiving the original instruments up to 21 days from the time we pay a vehicle off. While we usually have all titles in our possession at closing, there are occasions where we may be waiting for them to arrive. If payment is made by cashier's or personal checks, we will hold all titles for 10 days or until funds have cleared. Shipping & Delivery: All shipping charges are buyer's responsibility. Kernersville Chrysler Dodge Jeep Ram will help with shipping arrangements but will not be responsible in any way for claims arising from shipping damage. Licensed Carriers are generally insured for $3,000,000.00. We assume no responsibility for damages incurred after the vehicle leaves our showroom. All shipping arrangements are provided by Kernersville Chrysler Dodge Jeep Ram as a courtesy. We are not affiliated with any carrier. 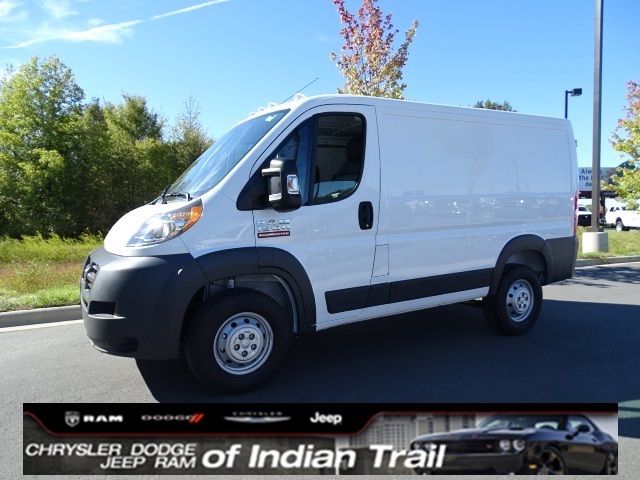 Any claims or other communication regarding shipment of vehicles will be between you and the shipper, not with Kernersville Chrysler Dodge Jeep Ram. The amount of time it takes for delivery is dependent on the carrier, but is generally 7-14 days from the date the vehicle is picked up from our facility until it is delivered to your destination. Verify with the shipper for an Estimate Time of Arrival to be sure. Finalizing your Purchase: Successful high bidder MUST communicate with Kernersville Chrysler Dodge Jeep Ram by e-mail or phone 888-626-0383 within 24 hours of the auction ending to make arrangements to complete their transaction. If we cannot confirm your intention to buy or the sale is not completed within 5 days, we reserve the right to relist this vehicle or sell to any other qualified buyer. In order to secure bid on vehicle, successful bidder (BUYER) must send to Seller a Non-refundable Deposit in the amount of $500 by major credit card, cash (in person), bank certified funds or Paypal within 24 hours of bid closing. Within 72 hours of bid closing, Buyer must send remainder balance of funds by bank wire transfer, cash (in person), or bank certified funds to Seller. At time of sending initial deposit, Buyer MUST fax copy of their State issued valid Driver License and contact dealer. Furthermore, before said vehicle is released for shipment to Buyer, all other Sale related and title related paperwork must be signed and returned complete to Seller. Copyright © 2017 Auction123 - All rights reserved. - Disclaimer +- Auction123 (a service and listing/software company) and the Seller has done his/her best to disclose the equipment/condition of this vehicle/purchase. However, Auction123 disclaims any warranty as to the accuracy or to the working condition of the vehicle/equipment listed. The purchaser or prospective purchaser should verify with the Seller the accuracy of all the information listed within this ad. Selling a Vehicle? Create Professional Listings Fast and Easy. Click Here! FINANCING AVAILABLE!! 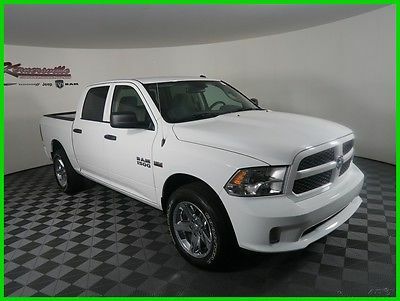 NEW 2016 Ram 1500 Rebel 4x4 V8 HEMI Crew Cab Truck Heated Seats Backup Camera Cloth Seats Towing Package Stock# 161976 Vehicle Information Stock: 161976 VIN: 1C6RR7YT1GS254861 Mileage: Price: $39,478.00 Trans: Automatic Engine: HEMI 5.7L V8 Multi Displacement VVT Drivetrain: 4WD MSRP: $51,095.00 ? Apply Now Secure Credit Application Applying for a vehicle loan online is one of the quickest and easiest application methods. Our secure application is easy to complete, all you need are a few personal and employment details. Message We are Kernersville Chrysler Dodge Jeep Ram, also known as 31Dodge, and in 2015 we sold over 6000 vehicles via eBay across the USA from our small hometown of Kernersville, North Carolina. We were awarded #1 Ram Truck Dealer in the Southeast two years in a row and third in US sales. As a large volume dealer we can offer you the lowest pricing in the Southeast on used vehicles and some of the best deals on new vehicles. Call our eBay Hotline to get approved today or get cash for your vehicle! Description *********************************************************************************** Note: Do you own a business? Business owners may qualify for extra rebates. Give us a call today to see if you qualify! Please call on our eBay Sales Hotline: (888)-626-0383 for more colors, trims, vehicles and Dealer rebates. *********************************************************************************** When calling or emailing, please reference stock number 161976. On new vehicles we offer free shipping up to 300 miles and competitive rates on shipping outside that range with our professional in-house shippers! Request a shipping quote. Alternatively, we also offer a $500 credit good towards your preferred shipper or towards one airfare ticket to our dealership so you can pick up your vehicle in person and drive it home! Read more on this below. We stock over 1500 vehicles in inventory and can find the right vehicle at the right price for you! Our in-house shippers offer highly competitive shipping rates to all four corners of the US. 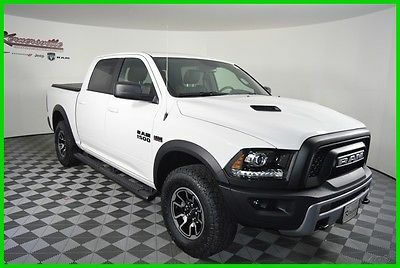 MORE ABOUT THIS 2016 Ram 1500 Rebel Truck Crew Cab This 2016 RAM 1500 REBEL CREW CAB 4X4 includes the following features: Package: 26W, Engine: 5.7-Liter V8 HEMI® MDS VVT Engine, Transmission: 8-Speed Automatic 8HP70 Transmission, Interior: Premium Cloth Seats with Embossed Tread Pattern, Towing Package, 17-Inch x 8-Inch Alum Wheels w/Matte Black Pocket, 6 Speakers, Heated Front Seats, Heated Steering Wheel, As well as the following options: Uconnect 8.4 inch Touch Screen, Trailer Brake Control, SD Card, USB, and Aux Ports, Single Disc Remote CD Player, Anti-Spin Differential Rear Axle, Rear Back-Up Camera, and much more! Please check the window sticker for a complete list of equipment. Kernersville Chrysler Dodge Jeep Ram in Kernersville, NC is located in the heart of North Carolina between Charlotte, NC and Raleigh, NC. We specialize in NO hassle out of state purchases; we process your taxes, tags and title work for the city and state where the vehicle will be registered. View the window sticker. WHY BUY ONLINE? We sell over 500 vehicles per month and eighty percent of those vehicles are sold online, with customers never having to step foot inside our dealership! Our professional internet staff is available to assist you with any question or part of the process from start to end. Buying online with us provides convenience and more selection of vehicles at the right price for you. WE HAVE THE BEST PRICES IN THE MARKET! All of our new vehicles include savings and dealer holdback (hidden profit) that are passed on down to you. The price listed includes everything except taxes, tags, and our documentation fee - more on that below. We sell cars all over the world because our prices are the best! GREAT SHIPPING DEALS! On new vehicles we offer free shipping and trade-in pick up within 250 miles from our location in Kernersville, NC. Alternatively, we offer complimentary airfare up to $500 USD and free shuttle pick up at Greensboro, Charlotte, or Raleigh airports. Give us a call to schedule your trip or get a free shipping quote. FINANCING AVAILABLE! When it comes to financing we can normally meet or beat the rate you have (WAC). Give us a try; we are a full service dealer, and we deal with over 40 lenders and do all the heavy work for you. If you finance with us, we will collect all taxes and tags in your State and complete all the paper work for you. You can find our secure application here: finance application. TRADE-IN OFFERS OVER THE PHONE! Give us call to obtain a Site Unseen Trade-in Appraisal and we'll make you an offer over the phone. Make sure to have all basic information regarding your vehicle ready for our internet consultant such as VIN number and condition of the interior and exterior, including tire tread and vehicles history. MORE ABOUT US We are located in the heart of the Triad, between Greensboro, Winston-Salem, and High Point. We sell most of our vehicles online and are proudly the LARGEST heavy-duty truck dealer east of the Mississippi. We have a large inventory and it refreshes from week to week. We have an internet team dedicated to just our online customers and all of their needs. Our Internet team is available Monday-Friday 9AM-8PM EST and Saturday 9AM-6PM EST. If you reach us after hours we will return your call and email promptly on the next business day. We look forward to making you a part of our family! REVIEW ALL TERMS For all new vehicles we will collect all taxes and tags applicable for your State. All taxes and fees must be paid in full in order for vehicle to be titled and registered. We are required to charge ALL customers a documentation fee of $599.50. Please review the Terms of Sale before placing your bid or making an offer. While every reasonable effort is made to ensure the accuracy of this listing, we are not responsible for any errors or omissions contained on this page. Please verify any information in question with Kernersville Chrysler Dodge Jeep Ram prior to bidding! ? ? Terms The information in this listing, including incentives/specials, shipping rates/deals, airline deals, etc. may be subject to change at any point in time and is different from State to State. We ask that you please give us a call or send us an email to ensure the pricing and all deals are correct as of today's date. We make every effort to update everything as soon as changes are made to present accurate information, but may experience a delay due to our sources feeding information through or other reasons out of our direct control. Listed price may also reflect pricing incentives not applicable to all customers. Reflected incentives may include Fast Start Bonus Cash, Month end Bonus Cash, Conquest Bonus Cash, Chrysler Capital Bonus Cash, Owner Loyalty, Up-Fit Bonus cash, Sub-Prime Bonus Cash, Trade-in Bonus Cash and more. We make every effort to present information that is accurate. However, it is based on data provided by the vehicle manufacturer and/or other sources and therefore exact configuration, color, specifications & accessories should be used as a guide only and are not guaranteed. We are not liable for any inaccuracies, claims or losses of any nature. Inventory is subject to prior sale and prices are subject to change without notice and cannot be combined with any other offer(s). The price for listed vehicles as equipped does not include other charges such as: License, Title, Registration Fees, State or Local Taxes, Smog Fees, Credit Investigation, Optional Credit Insurance, Physical Damage of Liability Insurance, Delivery Fees, Finance and/or Documentation Fees. Any and all differences must be addressed prior to the sale of this vehicle. Placing a Bid: Please only bid if you've had your finances pre-approved or have cash on hand. In order to reserve your vehicle it is required to leave a $500 non-refundable deposit within 24 hours of winning the auction. Please do so through Paypal and give us a call immediately. If you do not have pre-approved finances or cash in hand, please contact us FIRST as we can help you obtain financing, and put together a great deal for you. Please read eBay's User Agreement before bidding and the "Finalizing Your Purchase" section below for more information. Kernersville Chrysler Dodge Jeep Ram reserves the right to: Obtain and verify the registered information of all users who bid on this auction and cancel any and all bids at their discretion, or end the auction early if necessary. Bidders Age: You must be 18 years of age or older to Bid. eBay's Bid Retraction Rules: If you place a bid BEFORE the last 12-hour period of the auction, you may retract your bid for exceptional circumstances. If you place a bid during the last 12-hour period of the auction: You will be allowed to retract the bid for exceptional circumstances but only if you do so within one hour after placing the bid. For detailed information on this eBay policy, please read: eBay's "Retracting a Bid" policy on their website. Funds & Financing: For help in arranging a Pre-Approved loan or for any questions please e-mail or call us at 888-626-0383 prior to bidding. Buyers Inspection: Kernersville Chrysler Dodge Jeep Ram has done it's best to disclose all information known about this vehicle for auction. Kernersville Chrysler Dodge Jeep Ram welcomes a buyers inspection. If you plan to have a buyers inspection, please make sure you inspect the vehicle prior to the auction ending and notify us of date/time of the inspection. Inspection fees, if any, are Buyers responsibility. Representations and Warranties made by seller: This vehicle is being sold "as is". Manufacturers warranties may still apply. Extended warranty may be available, e-mail or call us at 888-626-0383 for details. No representations or warranties are made by seller, nor are any representations or warranties relied upon by bidders in making any bids Taxes, Registration and Administrative fees: Used vehicles: Out of state buyers are responsible for all State, county, and city taxes and fees, as well as title service fees in the State that the vehicle will be registered in. New vehicles: We collect all State, county, and city taxes and fees, as well as title service fees on New vehicles. All taxes and fees must be paid in full in order for vehicle to be titled and registered. All Vehicles: We are required to charge ALL customers our Administration fee of $599.50. Title Information: Vehicles titles may be held by banks or lenders as collateral for loans. In many cases there is a delay in receiving the original instruments up to 21 days from the time we pay a vehicle off. While we usually have all titles in our possession at closing, there are occasions where we may be waiting for them to arrive. If payment is made by cashier's or personal checks, we will hold all titles for 10 days or until funds have cleared. Shipping & Delivery: All shipping charges are buyer's responsibility. Kernersville Chrysler Dodge Jeep Ram will help with shipping arrangements but will not be responsible in any way for claims arising from shipping damage. Licensed Carriers are generally insured for $3,000,000.00. We assume no responsibility for damages incurred after the vehicle leaves our showroom. All shipping arrangements are provided by Kernersville Chrysler Dodge Jeep Ram as a courtesy. We are not affiliated with any carrier. Any claims or other communication regarding shipment of vehicles will be between you and the shipper, not with Kernersville Chrysler Dodge Jeep Ram. The amount of time it takes for delivery is dependent on the carrier, but is generally 7-14 days from the date the vehicle is picked up from our facility until it is delivered to your destination. Verify with the shipper for an Estimate Time of Arrival to be sure. Finalizing your Purchase: Successful high bidder MUST communicate with Kernersville Chrysler Dodge Jeep Ram by e-mail or phone 888-626-0383 within 24 hours of the auction ending to make arrangements to complete their transaction. If we cannot confirm your intention to buy or the sale is not completed within 5 days, we reserve the right to relist this vehicle or sell to any other qualified buyer. In order to secure bid on vehicle, successful bidder (BUYER) must send to Seller a Non-refundable Deposit in the amount of $500 by major credit card, cash (in person), bank certified funds or Paypal within 24 hours of bid closing. Within 72 hours of bid closing, Buyer must send remainder balance of funds by bank wire transfer, cash (in person), or bank certified funds to Seller. At time of sending initial deposit, Buyer MUST fax copy of their State issued valid Driver License and contact dealer. Furthermore, before said vehicle is released for shipment to Buyer, all other Sale related and title related paperwork must be signed and returned complete to Seller. Copyright © 2017 Auction123 - All rights reserved. - Disclaimer +- Auction123 (a service and listing/software company) and the Seller has done his/her best to disclose the equipment/condition of this vehicle/purchase. However, Auction123 disclaims any warranty as to the accuracy or to the working condition of the vehicle/equipment listed. The purchaser or prospective purchaser should verify with the Seller the accuracy of all the information listed within this ad. Selling a Vehicle? Create Professional Listings Fast and Easy. Click Here! FINANCING AVAILABLE!! 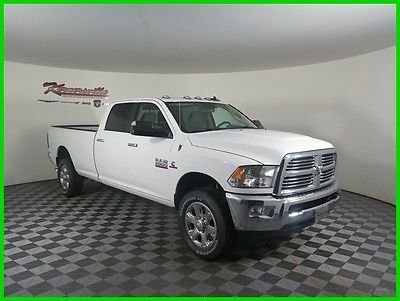 2016 RAM 1500 Tradesman V8 HEMI Crew Cab Truck Backup Camera Cloth Seats USB AUX UConnect 3.0 6 Speakers Stock# 162975 Vehicle Information Stock: 162975 VIN: 3C6RR7KT6GG371173 Mileage: Price: $34,005.00 Trans: Automatic Engine: 5.7 Liter V8 HEMI MDS VVT Engine Drivetrain: 4WD MSRP: $44,665.00 ? Apply Now Secure Credit Application Applying for a vehicle loan online is one of the quickest and easiest application methods. Our secure application is easy to complete, all you need are a few personal and employment details. Message We are Kernersville Chrysler Dodge Jeep Ram, also known as 31Dodge, and in 2015 we sold over 6000 vehicles via eBay across the USA from our small hometown of Kernersville, North Carolina. We were awarded #1 Ram Truck Dealer in the Southeast two years in a row and third in US sales. As a large volume dealer we can offer you the lowest pricing in the Southeast on used vehicles and some of the best deals on new vehicles. Call our eBay Hotline to get approved today or get cash for your vehicle! Description *********************************************************************************** Note: Do you own a business? Business owners may qualify for extra rebates. Give us a call today to see if you qualify! Please call on our eBay Sales Hotline: (888)-626-0383 for more colors, trims, vehicles and Dealer rebates. *********************************************************************************** When calling or emailing, please reference stock number 162975. On new vehicles we offer free shipping up to 300 miles and competitive rates on shipping outside that range with our professional in-house shippers! Request a shipping quote. Alternatively, we also offer a $500 credit good towards your preferred shipper or towards one airfare ticket to our dealership so you can pick up your vehicle in person and drive it home! Read more on this below. We stock over 1500 vehicles in inventory and can find the right vehicle at the right price for you! Our in-house shippers offer highly competitive shipping rates to all four corners of the US. 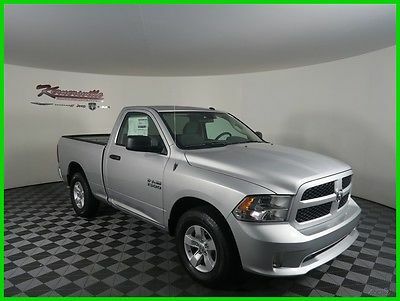 MORE ABOUT THIS 2016 Ram 1500 Tradesman Truck Crew Cab This 2016 RAM 1500 ST CREW CAB 4X4 includes the following features: Package: 26J, Engine: 5.7-Liter V8 HEMI® MDS VVT Engine, Transmission: 8-Speed Automatic 8HP70 Transmission, Interior: Cloth 40 / 20 / 40 Bench Seat, Radio 3.0, Towing Package, Spray-In Bedliner, USB and Aux Ports, 6 Speakers, As well as the following options: Uconnect® 3.0, 20-Inch x 9.0-Inch Aluminum Chrome Clad Wheels, 17-Inch x 7.0-Inch Aluminum Wheels, Rear Back-Up Camera, Anti-Spin Differential Rear Axle, Delete Class IV Receiver Hitch, Add Class IV Receiver Hitch, Delete Spray-In Bedliner, and much more! Please check the window sticker for a complete list of equipment. Kernersville Chrysler Dodge Jeep Ram in Kernersville, NC is located in the heart of North Carolina between Charlotte, NC and Raleigh, NC. We specialize in NO hassle out of state purchases; we process your taxes, tags and title work for the city and state where the vehicle will be registered. RETURN TO TOP View the window sticker. WHY BUY ONLINE? We sell over 500 vehicles per month and eighty percent of those vehicles are sold online, with customers never having to step foot inside our dealership! Our professional internet staff is available to assist you with any question or part of the process from start to end. Buying online with us provides convenience and more selection of vehicles at the right price for you. WE HAVE THE BEST PRICES IN THE MARKET! All of our new vehicles include savings and dealer holdback (hidden profit) that are passed on down to you. The price listed includes everything except taxes, tags, and our documentation fee - more on that below. We sell cars all over the world because our prices are the best! GREAT SHIPPING DEALS! On new vehicles we offer free shipping and trade-in pick up within 250 miles from our location in Kernersville, NC. Alternatively, we offer complimentary airfare up to $500 USD and free shuttle pick up at Greensboro, Charlotte, or Raleigh airports. Give us a call to schedule your trip or get a free shipping quote. FINANCING AVAILABLE! When it comes to financing we can normally meet or beat the rate you have (WAC). Give us a try; we are a full service dealer, and we deal with over 40 lenders and do all the heavy work for you. If you finance with us, we will collect all taxes and tags in your State and complete all the paper work for you. You can find our secure application here: finance application. TRADE-IN OFFERS OVER THE PHONE! Give us call to obtain a Site Unseen Trade-in Appraisal and we'll make you an offer over the phone. Make sure to have all basic information regarding your vehicle ready for our internet consultant such as VIN number and condition of the interior and exterior, including tire tread and vehicles history. MORE ABOUT US We are located in the heart of the Triad, between Greensboro, Winston-Salem, and High Point. We sell most of our vehicles online and are proudly the LARGEST heavy-duty truck dealer east of the Mississippi. We have a large inventory and it refreshes from week to week. We have an internet team dedicated to just our online customers and all of their needs. Our Internet team is available Monday-Friday 9AM-8PM EST and Saturday 9AM-6PM EST. If you reach us after hours we will return your call and email promptly on the next business day. We look forward to making you a part of our family! REVIEW ALL TERMS For all new vehicles we will collect all taxes and tags applicable for your State. All taxes and fees must be paid in full in order for vehicle to be titled and registered. We are required to charge ALL customers a documentation fee of $599.50. Please review the Terms of Sale before placing your bid or making an offer. While every reasonable effort is made to ensure the accuracy of this listing, we are not responsible for any errors or omissions contained on this page. Please verify any information in question with Kernersville Chrysler Dodge Jeep Ram prior to bidding! ? ? Terms The information in this listing, including incentives/specials, shipping rates/deals, airline deals, etc. may be subject to change at any point in time and is different from State to State. We ask that you please give us a call or send us an email to ensure the pricing and all deals are correct as of today's date. We make every effort to update everything as soon as changes are made to present accurate information, but may experience a delay due to our sources feeding information through or other reasons out of our direct control. Listed price may also reflect pricing incentives not applicable to all customers. Reflected incentives may include Fast Start Bonus Cash, Month end Bonus Cash, Conquest Bonus Cash, Chrysler Capital Bonus Cash, Owner Loyalty, Up-Fit Bonus cash, Sub-Prime Bonus Cash, Trade-in Bonus Cash and more. We make every effort to present information that is accurate. However, it is based on data provided by the vehicle manufacturer and/or other sources and therefore exact configuration, color, specifications & accessories should be used as a guide only and are not guaranteed. We are not liable for any inaccuracies, claims or losses of any nature. Inventory is subject to prior sale and prices are subject to change without notice and cannot be combined with any other offer(s). The price for listed vehicles as equipped does not include other charges such as: License, Title, Registration Fees, State or Local Taxes, Smog Fees, Credit Investigation, Optional Credit Insurance, Physical Damage of Liability Insurance, Delivery Fees, Finance and/or Documentation Fees. Any and all differences must be addressed prior to the sale of this vehicle. Placing a Bid: Please only bid if you've had your finances pre-approved or have cash on hand. In order to reserve your vehicle it is required to leave a $500 non-refundable deposit within 24 hours of winning the auction. Please do so through Paypal and give us a call immediately. If you do not have pre-approved finances or cash in hand, please contact us FIRST as we can help you obtain financing, and put together a great deal for you. Please read eBay's User Agreement before bidding and the "Finalizing Your Purchase" section below for more information. Kernersville Chrysler Dodge Jeep Ram reserves the right to: Obtain and verify the registered information of all users who bid on this auction and cancel any and all bids at their discretion, or end the auction early if necessary. Bidders Age: You must be 18 years of age or older to Bid. eBay's Bid Retraction Rules: If you place a bid BEFORE the last 12-hour period of the auction, you may retract your bid for exceptional circumstances. If you place a bid during the last 12-hour period of the auction: You will be allowed to retract the bid for exceptional circumstances but only if you do so within one hour after placing the bid. For detailed information on this eBay policy, please read: eBay's "Retracting a Bid" policy on their website. Funds & Financing: For help in arranging a Pre-Approved loan or for any questions please e-mail or call us at 888-626-0383 prior to bidding. Buyers Inspection: Kernersville Chrysler Dodge Jeep Ram has done it's best to disclose all information known about this vehicle for auction. Kernersville Chrysler Dodge Jeep Ram welcomes a buyers inspection. If you plan to have a buyers inspection, please make sure you inspect the vehicle prior to the auction ending and notify us of date/time of the inspection. Inspection fees, if any, are Buyers responsibility. Representations and Warranties made by seller: This vehicle is being sold "as is". Manufacturers warranties may still apply. Extended warranty may be available, e-mail or call us at 888-626-0383 for details. No representations or warranties are made by seller, nor are any representations or warranties relied upon by bidders in making any bids Taxes, Registration and Administrative fees: Used vehicles: Out of state buyers are responsible for all State, county, and city taxes and fees, as well as title service fees in the State that the vehicle will be registered in. New vehicles: We collect all State, county, and city taxes and fees, as well as title service fees on New vehicles. All taxes and fees must be paid in full in order for vehicle to be titled and registered. All Vehicles: We are required to charge ALL customers our Administration fee of $599.50. Title Information: Vehicles titles may be held by banks or lenders as collateral for loans. In many cases there is a delay in receiving the original instruments up to 21 days from the time we pay a vehicle off. While we usually have all titles in our possession at closing, there are occasions where we may be waiting for them to arrive. If payment is made by cashier's or personal checks, we will hold all titles for 10 days or until funds have cleared. Shipping & Delivery: All shipping charges are buyer's responsibility. Kernersville Chrysler Dodge Jeep Ram will help with shipping arrangements but will not be responsible in any way for claims arising from shipping damage. Licensed Carriers are generally insured for $3,000,000.00. We assume no responsibility for damages incurred after the vehicle leaves our showroom. All shipping arrangements are provided by Kernersville Chrysler Dodge Jeep Ram as a courtesy. We are not affiliated with any carrier. Any claims or other communication regarding shipment of vehicles will be between you and the shipper, not with Kernersville Chrysler Dodge Jeep Ram. The amount of time it takes for delivery is dependent on the carrier, but is generally 7-14 days from the date the vehicle is picked up from our facility until it is delivered to your destination. Verify with the shipper for an Estimate Time of Arrival to be sure. Finalizing your Purchase: Successful high bidder MUST communicate with Kernersville Chrysler Dodge Jeep Ram by e-mail or phone 888-626-0383 within 24 hours of the auction ending to make arrangements to complete their transaction. If we cannot confirm your intention to buy or the sale is not completed within 5 days, we reserve the right to relist this vehicle or sell to any other qualified buyer. In order to secure bid on vehicle, successful bidder (BUYER) must send to Seller a Non-refundable Deposit in the amount of $500 by major credit card, cash (in person), bank certified funds or Paypal within 24 hours of bid closing. Within 72 hours of bid closing, Buyer must send remainder balance of funds by bank wire transfer, cash (in person), or bank certified funds to Seller. At time of sending initial deposit, Buyer MUST fax copy of their State issued valid Driver License and contact dealer. Furthermore, before said vehicle is released for shipment to Buyer, all other Sale related and title related paperwork must be signed and returned complete to Seller. Copyright © 2017 Auction123 - All rights reserved. - Disclaimer +- Auction123 (a service and listing/software company) and the Seller has done his/her best to disclose the equipment/condition of this vehicle/purchase. However, Auction123 disclaims any warranty as to the accuracy or to the working condition of the vehicle/equipment listed. The purchaser or prospective purchaser should verify with the Seller the accuracy of all the information listed within this ad. Selling a Vehicle? Create Professional Listings Fast and Easy. Click Here! FINANCING AVAILABLE!! NEW 2017 Ram 1500 Express Truck Regular Cab Bedliner Towing Package Radio 3.0 Bedliner USB AUX 6 Speakers Stock# 170233 Vehicle Information Stock: 170233 VIN: 3C6JR6AG7HG529971 Mileage: Price: $24,017.00 Trans: Automatic Engine: 3.6L V6 24-Valve VVT Engine Drivetrain: RWD MSRP: $30,750.00 ? Apply Now Secure Credit Application Applying for a vehicle loan online is one of the quickest and easiest application methods. Our secure application is easy to complete, all you need are a few personal and employment details. Message We are Kernersville Chrysler Dodge Jeep Ram, also known as 31Dodge, and in 2015 we sold over 6000 vehicles via eBay across the USA from our small hometown of Kernersville, North Carolina. We were awarded #1 Ram Truck Dealer in the Southeast two years in a row and third in US sales. As a large volume dealer we can offer you the lowest pricing in the Southeast on used vehicles and some of the best deals on new vehicles. Call our eBay Hotline to get approved today or get cash for your vehicle! Description *********************************************************************************** Note: Do you own a business? Business owners may qualify for extra rebates. Give us a call today to see if you qualify! Please call on our eBay Sales Hotline: (888)-626-0383 for more colors, trims, vehicles and Dealer rebates. *********************************************************************************** When calling or emailing, please reference stock number 170233. On new vehicles we offer free shipping up to 300 miles and competitive rates on shipping outside that range with our professional in-house shippers! Request a shipping quote. Alternatively, we also offer a $500 credit good towards your preferred shipper or towards one airfare ticket to our dealership so you can pick up your vehicle in person and drive it home! Read more on this below. We stock over 1500 vehicles in inventory and can find the right vehicle at the right price for you! Our in-house shippers offer highly competitive shipping rates to all four corners of the US. 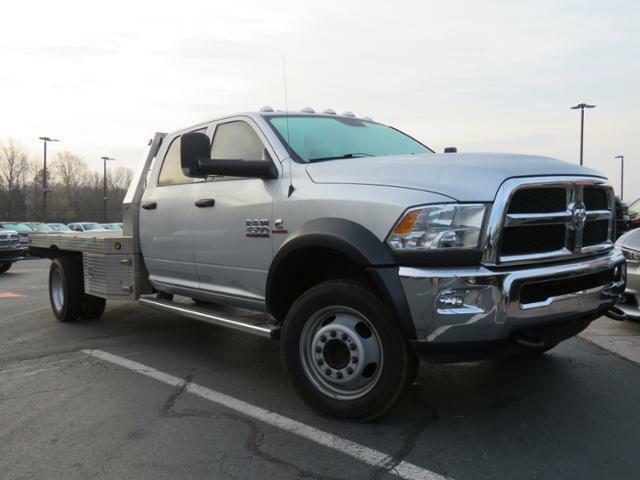 MORE ABOUT THIS 2017 Ram 1500 Express Truck Regular Cab This 2017 RAM 1500 EXPRESS REGULAR CAB includes the following features: Package: 22J, Engine: 3.6-Liter V6 24-Valve VVT Engine, Transmission: 8-Speed Automatic 845RE Transmission, Interior: Cloth 40 / 20 / 40 Bench Seat, Radio 3.0, Towing Package, Spray-In Bedliner, USB and Aux Ports, 6 Speakers, As well as the following options: 17-Inch x 7.0-Inch Aluminum Wheels, Power and Remote Entry Group, Anti-Spin Differential Rear Axle, and much more! Please check the window sticker for a complete list of equipment. Kernersville Chrysler Dodge Jeep Ram in Kernersville, NC is located in the heart of North Carolina between Charlotte, NC and Raleigh, NC. We specialize in NO hassle out of state purchases; we process your taxes, tags and title work for the city and state where the vehicle will be registered. RETURN TO TOP View the window sticker. WHY BUY ONLINE? We sell over 500 vehicles per month and eighty percent of those vehicles are sold online, with customers never having to step foot inside our dealership! Our professional internet staff is available to assist you with any question or part of the process from start to end. Buying online with us provides convenience and more selection of vehicles at the right price for you. WE HAVE THE BEST PRICES IN THE MARKET! All of our new vehicles include savings and dealer holdback (hidden profit) that are passed on down to you. The price listed includes everything except taxes, tags, and our documentation fee - more on that below. We sell cars all over the world because our prices are the best! GREAT SHIPPING DEALS! On new vehicles we offer free shipping and trade-in pick up within 250 miles from our location in Kernersville, NC. Alternatively, we offer complimentary airfare up to $500 USD and free shuttle pick up at Greensboro, Charlotte, or Raleigh airports. Give us a call to schedule your trip or get a free shipping quote. FINANCING AVAILABLE! When it comes to financing we can normally meet or beat the rate you have (WAC). Give us a try; we are a full service dealer, and we deal with over 40 lenders and do all the heavy work for you. If you finance with us, we will collect all taxes and tags in your State and complete all the paper work for you. You can find our secure application here: finance application. TRADE-IN OFFERS OVER THE PHONE! Give us call to obtain a Site Unseen Trade-in Appraisal and we'll make you an offer over the phone. Make sure to have all basic information regarding your vehicle ready for our internet consultant such as VIN number and condition of the interior and exterior, including tire tread and vehicles history. MORE ABOUT US We are located in the heart of the Triad, between Greensboro, Winston-Salem, and High Point. We sell most of our vehicles online and are proudly the LARGEST heavy-duty truck dealer east of the Mississippi. We have a large inventory and it refreshes from week to week. We have an internet team dedicated to just our online customers and all of their needs. Our Internet team is available Monday-Friday 9AM-8PM EST and Saturday 9AM-6PM EST. If you reach us after hours we will return your call and email promptly on the next business day. We look forward to making you a part of our family! REVIEW ALL TERMS For all new vehicles we will collect all taxes and tags applicable for your State. All taxes and fees must be paid in full in order for vehicle to be titled and registered. We are required to charge ALL customers a documentation fee of $599.50. Please review the Terms of Sale before placing your bid or making an offer. While every reasonable effort is made to ensure the accuracy of this listing, we are not responsible for any errors or omissions contained on this page. Please verify any information in question with Kernersville Chrysler Dodge Jeep Ram prior to bidding! ? ? Terms The information in this listing, including incentives/specials, shipping rates/deals, airline deals, etc. may be subject to change at any point in time and is different from State to State. We ask that you please give us a call or send us an email to ensure the pricing and all deals are correct as of today's date. We make every effort to update everything as soon as changes are made to present accurate information, but may experience a delay due to our sources feeding information through or other reasons out of our direct control. Listed price may also reflect pricing incentives not applicable to all customers. Reflected incentives may include Fast Start Bonus Cash, Month end Bonus Cash, Conquest Bonus Cash, Chrysler Capital Bonus Cash, Owner Loyalty, Up-Fit Bonus cash, Sub-Prime Bonus Cash, Trade-in Bonus Cash and more. We make every effort to present information that is accurate. However, it is based on data provided by the vehicle manufacturer and/or other sources and therefore exact configuration, color, specifications & accessories should be used as a guide only and are not guaranteed. We are not liable for any inaccuracies, claims or losses of any nature. Inventory is subject to prior sale and prices are subject to change without notice and cannot be combined with any other offer(s). The price for listed vehicles as equipped does not include other charges such as: License, Title, Registration Fees, State or Local Taxes, Smog Fees, Credit Investigation, Optional Credit Insurance, Physical Damage of Liability Insurance, Delivery Fees, Finance and/or Documentation Fees. Any and all differences must be addressed prior to the sale of this vehicle. Placing a Bid: Please only bid if you've had your finances pre-approved or have cash on hand. In order to reserve your vehicle it is required to leave a $500 non-refundable deposit within 24 hours of winning the auction. Please do so through Paypal and give us a call immediately. If you do not have pre-approved finances or cash in hand, please contact us FIRST as we can help you obtain financing, and put together a great deal for you. Please read eBay's User Agreement before bidding and the "Finalizing Your Purchase" section below for more information. Kernersville Chrysler Dodge Jeep Ram reserves the right to: Obtain and verify the registered information of all users who bid on this auction and cancel any and all bids at their discretion, or end the auction early if necessary. Bidders Age: You must be 18 years of age or older to Bid. eBay's Bid Retraction Rules: If you place a bid BEFORE the last 12-hour period of the auction, you may retract your bid for exceptional circumstances. If you place a bid during the last 12-hour period of the auction: You will be allowed to retract the bid for exceptional circumstances but only if you do so within one hour after placing the bid. For detailed information on this eBay policy, please read: eBay's "Retracting a Bid" policy on their website. Funds & Financing: For help in arranging a Pre-Approved loan or for any questions please e-mail or call us at 888-626-0383 prior to bidding. Buyers Inspection: Kernersville Chrysler Dodge Jeep Ram has done it's best to disclose all information known about this vehicle for auction. Kernersville Chrysler Dodge Jeep Ram welcomes a buyers inspection. If you plan to have a buyers inspection, please make sure you inspect the vehicle prior to the auction ending and notify us of date/time of the inspection. Inspection fees, if any, are Buyers responsibility. Representations and Warranties made by seller: This vehicle is being sold "as is". Manufacturers warranties may still apply. Extended warranty may be available, e-mail or call us at 888-626-0383 for details. No representations or warranties are made by seller, nor are any representations or warranties relied upon by bidders in making any bids Taxes, Registration and Administrative fees: Used vehicles: Out of state buyers are responsible for all State, county, and city taxes and fees, as well as title service fees in the State that the vehicle will be registered in. New vehicles: We collect all State, county, and city taxes and fees, as well as title service fees on New vehicles. All taxes and fees must be paid in full in order for vehicle to be titled and registered. All Vehicles: We are required to charge ALL customers our Administration fee of $599.50. Title Information: Vehicles titles may be held by banks or lenders as collateral for loans. In many cases there is a delay in receiving the original instruments up to 21 days from the time we pay a vehicle off. While we usually have all titles in our possession at closing, there are occasions where we may be waiting for them to arrive. If payment is made by cashier's or personal checks, we will hold all titles for 10 days or until funds have cleared. Shipping & Delivery: All shipping charges are buyer's responsibility. Kernersville Chrysler Dodge Jeep Ram will help with shipping arrangements but will not be responsible in any way for claims arising from shipping damage. Licensed Carriers are generally insured for $3,000,000.00. We assume no responsibility for damages incurred after the vehicle leaves our showroom. All shipping arrangements are provided by Kernersville Chrysler Dodge Jeep Ram as a courtesy. We are not affiliated with any carrier. Any claims or other communication regarding shipment of vehicles will be between you and the shipper, not with Kernersville Chrysler Dodge Jeep Ram. The amount of time it takes for delivery is dependent on the carrier, but is generally 7-14 days from the date the vehicle is picked up from our facility until it is delivered to your destination. Verify with the shipper for an Estimate Time of Arrival to be sure. Finalizing your Purchase: Successful high bidder MUST communicate with Kernersville Chrysler Dodge Jeep Ram by e-mail or phone 888-626-0383 within 24 hours of the auction ending to make arrangements to complete their transaction. If we cannot confirm your intention to buy or the sale is not completed within 5 days, we reserve the right to relist this vehicle or sell to any other qualified buyer. In order to secure bid on vehicle, successful bidder (BUYER) must send to Seller a Non-refundable Deposit in the amount of $500 by major credit card, cash (in person), bank certified funds or Paypal within 24 hours of bid closing. Within 72 hours of bid closing, Buyer must send remainder balance of funds by bank wire transfer, cash (in person), or bank certified funds to Seller. At time of sending initial deposit, Buyer MUST fax copy of their State issued valid Driver License and contact dealer. Furthermore, before said vehicle is released for shipment to Buyer, all other Sale related and title related paperwork must be signed and returned complete to Seller. Copyright © 2017 Auction123 - All rights reserved. - Disclaimer +- Auction123 (a service and listing/software company) and the Seller has done his/her best to disclose the equipment/condition of this vehicle/purchase. However, Auction123 disclaims any warranty as to the accuracy or to the working condition of the vehicle/equipment listed. The purchaser or prospective purchaser should verify with the Seller the accuracy of all the information listed within this ad. Selling a Vehicle? Create Professional Listings Fast and Easy. Click Here! FINANCING AVAILABLE!! 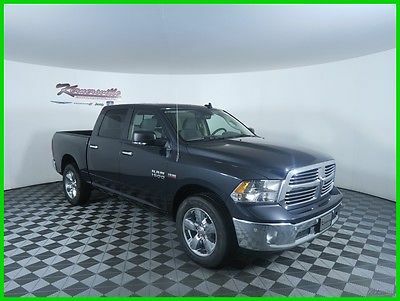 NEW 2017 RAM 1500 Big Horn 4x4 V8 HEMI Crew Cab Truck Premium Cloth Seats Backup Camera UConnect 8.4in 6 Speakers Stock# 170590 Vehicle Information Stock: 170590 VIN: 3C6RR7LT4HG564065 Mileage: Price: $38,757.00 Trans: Automatic Engine: 5.7-Liter V8 HEMI MDS VVT Engine Drivetrain: 4WD MSRP: $47,690.00 ? Apply Now Secure Credit Application Applying for a vehicle loan online is one of the quickest and easiest application methods. Our secure application is easy to complete, all you need are a few personal and employment details. Message We are Kernersville Chrysler Dodge Jeep Ram, also known as 31Dodge, and in 2015 we sold over 6000 vehicles via eBay across the USA from our small hometown of Kernersville, North Carolina. We were awarded #1 Ram Truck Dealer in the Southeast two years in a row and third in US sales. As a large volume dealer we can offer you the lowest pricing in the Southeast on used vehicles and some of the best deals on new vehicles. Call our eBay Hotline to get approved today or get cash for your vehicle! Description *********************************************************************************** Note: Do you own a business? Business owners may qualify for extra rebates. Give us a call today to see if you qualify! Please call on our eBay Sales Hotline: (888)-626-0383 for more colors, trims, vehicles and Dealer rebates. *********************************************************************************** When calling or emailing, please reference stock number 170590. On new vehicles we offer free shipping up to 300 miles and competitive rates on shipping outside that range with our professional in-house shippers! Request a shipping quote. Alternatively, we also offer a $500 credit good towards your preferred shipper or towards one airfare ticket to our dealership so you can pick up your vehicle in person and drive it home! Read more on this below. We stock over 1500 vehicles in inventory and can find the right vehicle at the right price for you! Our in-house shippers offer highly competitive shipping rates to all four corners of the US. MORE ABOUT THIS 2017 Ram 1500 Big Horn Truck Crew Cab LEATHER INTERIOR! This 2017 WRANGLER UNLIMITED SPORT 4X4 includes the following features: Package: 26S,Exterior Color: Firecracker Red Clear Coat Exterior Paint ,Interior Color: Black Interior Color ,Interior: Cloth Seats with Adjustable Head Restraints ,Engine: 3.6-Liter V6 24-Valve VVT Engine ,Transmission: 5-Speed Automatic Transmission,,Advanced Multistage Front Airbags,Next Generation Dana® 44 Heavy Duty Rear Axle ,Next Generation Dana® 30 Solid Front Axle,Sentry Key® Theft Deterrent System,Air Conditioning ,Radio 130 ,8 Speakers ,Audio Jack Input for Mobile Devices ,Rear Compartment Covered Storage,12-Volt Auxiliary Power Outlet,16-Inch x 7-Inch Styled Steel Wheels,Sunrider® Soft Top, As well as the following options: Sport Package 24C ,Connectivity Group,Tire Pressure Monitoring Display ,Uconnect® Voice Command with Bluetooth® ,All-Weather Slush Mats , and much more! Please check the window sticker for a complete list of equipment. Kernersville Chrysler Dodge Jeep Ram in Kernersville, NC is located in the heart of North Carolina between Charlotte, NC and Raleigh, NC. We specialize in NO hassle out of state purchases; we process your taxes, tags and title work for the city and state where the vehicle will be registered. RETURN TO TOP View the window sticker. WHY BUY ONLINE? We sell over 500 vehicles per month and eighty percent of those vehicles are sold online, with customers never having to step foot inside our dealership! Our professional internet staff is available to assist you with any question or part of the process from start to end. Buying online with us provides convenience and more selection of vehicles at the right price for you. WE HAVE THE BEST PRICES IN THE MARKET! All of our new vehicles include savings and dealer holdback (hidden profit) that are passed on down to you. The price listed includes everything except taxes, tags, and our documentation fee - more on that below. We sell cars all over the world because our prices are the best! GREAT SHIPPING DEALS! On new vehicles we offer free shipping and trade-in pick up within 250 miles from our location in Kernersville, NC. Alternatively, we offer complimentary airfare up to $500 USD and free shuttle pick up at Greensboro, Charlotte, or Raleigh airports. Give us a call to schedule your trip or get a free shipping quote. FINANCING AVAILABLE! When it comes to financing we can normally meet or beat the rate you have (WAC). Give us a try; we are a full service dealer, and we deal with over 40 lenders and do all the heavy work for you. If you finance with us, we will collect all taxes and tags in your State and complete all the paper work for you. You can find our secure application here: finance application. TRADE-IN OFFERS OVER THE PHONE! Give us call to obtain a Site Unseen Trade-in Appraisal and we'll make you an offer over the phone. Make sure to have all basic information regarding your vehicle ready for our internet consultant such as VIN number and condition of the interior and exterior, including tire tread and vehicles history. MORE ABOUT US We are located in the heart of the Triad, between Greensboro, Winston-Salem, and High Point. 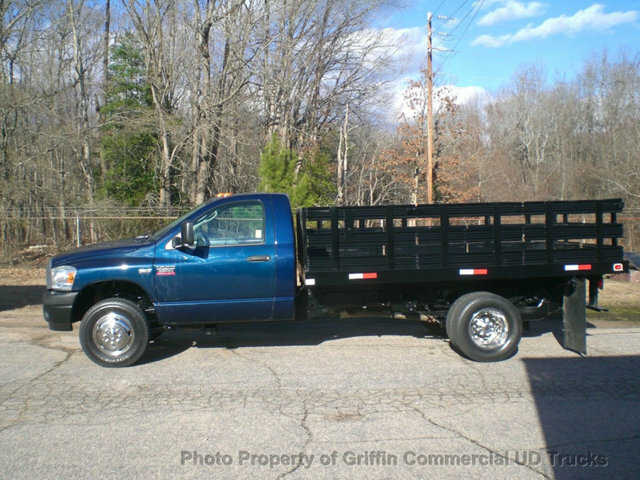 We sell most of our vehicles online and are proudly the LARGEST heavy-duty truck dealer east of the Mississippi. We have a large inventory and it refreshes from week to week. We have an internet team dedicated to just our online customers and all of their needs. Our Internet team is available Monday-Friday 9AM-8PM EST and Saturday 9AM-6PM EST. If you reach us after hours we will return your call and email promptly on the next business day. We look forward to making you a part of our family! REVIEW ALL TERMS For all new vehicles we will collect all taxes and tags applicable for your State. All taxes and fees must be paid in full in order for vehicle to be titled and registered. We are required to charge ALL customers a documentation fee of $599.50. Please review the Terms of Sale before placing your bid or making an offer. While every reasonable effort is made to ensure the accuracy of this listing, we are not responsible for any errors or omissions contained on this page. Please verify any information in question with Kernersville Chrysler Dodge Jeep Ram prior to bidding! ? ? Terms The information in this listing, including incentives/specials, shipping rates/deals, airline deals, etc. may be subject to change at any point in time and is different from State to State. We ask that you please give us a call or send us an email to ensure the pricing and all deals are correct as of today's date. We make every effort to update everything as soon as changes are made to present accurate information, but may experience a delay due to our sources feeding information through or other reasons out of our direct control. Listed price may also reflect pricing incentives not applicable to all customers. Reflected incentives may include Fast Start Bonus Cash, Month end Bonus Cash, Conquest Bonus Cash, Chrysler Capital Bonus Cash, Owner Loyalty, Up-Fit Bonus cash, Sub-Prime Bonus Cash, Trade-in Bonus Cash and more. We make every effort to present information that is accurate. However, it is based on data provided by the vehicle manufacturer and/or other sources and therefore exact configuration, color, specifications & accessories should be used as a guide only and are not guaranteed. We are not liable for any inaccuracies, claims or losses of any nature. Inventory is subject to prior sale and prices are subject to change without notice and cannot be combined with any other offer(s). The price for listed vehicles as equipped does not include other charges such as: License, Title, Registration Fees, State or Local Taxes, Smog Fees, Credit Investigation, Optional Credit Insurance, Physical Damage of Liability Insurance, Delivery Fees, Finance and/or Documentation Fees. Any and all differences must be addressed prior to the sale of this vehicle. Placing a Bid: Please only bid if you've had your finances pre-approved or have cash on hand. In order to reserve your vehicle it is required to leave a $500 non-refundable deposit within 24 hours of winning the auction. Please do so through Paypal and give us a call immediately. If you do not have pre-approved finances or cash in hand, please contact us FIRST as we can help you obtain financing, and put together a great deal for you. Please read eBay's User Agreement before bidding and the "Finalizing Your Purchase" section below for more information. Kernersville Chrysler Dodge Jeep Ram reserves the right to: Obtain and verify the registered information of all users who bid on this auction and cancel any and all bids at their discretion, or end the auction early if necessary. Bidders Age: You must be 18 years of age or older to Bid. eBay's Bid Retraction Rules: If you place a bid BEFORE the last 12-hour period of the auction, you may retract your bid for exceptional circumstances. If you place a bid during the last 12-hour period of the auction: You will be allowed to retract the bid for exceptional circumstances but only if you do so within one hour after placing the bid. For detailed information on this eBay policy, please read: eBay's "Retracting a Bid" policy on their website. Funds & Financing: For help in arranging a Pre-Approved loan or for any questions please e-mail or call us at 888-626-0383 prior to bidding. Buyers Inspection: Kernersville Chrysler Dodge Jeep Ram has done it's best to disclose all information known about this vehicle for auction. Kernersville Chrysler Dodge Jeep Ram welcomes a buyers inspection. If you plan to have a buyers inspection, please make sure you inspect the vehicle prior to the auction ending and notify us of date/time of the inspection. Inspection fees, if any, are Buyers responsibility. Representations and Warranties made by seller: This vehicle is being sold "as is". Manufacturers warranties may still apply. Extended warranty may be available, e-mail or call us at 888-626-0383 for details. No representations or warranties are made by seller, nor are any representations or warranties relied upon by bidders in making any bids Taxes, Registration and Administrative fees: Used vehicles: Out of state buyers are responsible for all State, county, and city taxes and fees, as well as title service fees in the State that the vehicle will be registered in. New vehicles: We collect all State, county, and city taxes and fees, as well as title service fees on New vehicles. All taxes and fees must be paid in full in order for vehicle to be titled and registered. All Vehicles: We are required to charge ALL customers our Administration fee of $599.50. Title Information: Vehicles titles may be held by banks or lenders as collateral for loans. In many cases there is a delay in receiving the original instruments up to 21 days from the time we pay a vehicle off. While we usually have all titles in our possession at closing, there are occasions where we may be waiting for them to arrive. If payment is made by cashier's or personal checks, we will hold all titles for 10 days or until funds have cleared. Shipping & Delivery: All shipping charges are buyer's responsibility. Kernersville Chrysler Dodge Jeep Ram will help with shipping arrangements but will not be responsible in any way for claims arising from shipping damage. Licensed Carriers are generally insured for $3,000,000.00. We assume no responsibility for damages incurred after the vehicle leaves our showroom. All shipping arrangements are provided by Kernersville Chrysler Dodge Jeep Ram as a courtesy. We are not affiliated with any carrier. Any claims or other communication regarding shipment of vehicles will be between you and the shipper, not with Kernersville Chrysler Dodge Jeep Ram. The amount of time it takes for delivery is dependent on the carrier, but is generally 7-14 days from the date the vehicle is picked up from our facility until it is delivered to your destination. Verify with the shipper for an Estimate Time of Arrival to be sure. Finalizing your Purchase: Successful high bidder MUST communicate with Kernersville Chrysler Dodge Jeep Ram by e-mail or phone 888-626-0383 within 24 hours of the auction ending to make arrangements to complete their transaction. If we cannot confirm your intention to buy or the sale is not completed within 5 days, we reserve the right to relist this vehicle or sell to any other qualified buyer. In order to secure bid on vehicle, successful bidder (BUYER) must send to Seller a Non-refundable Deposit in the amount of $500 by major credit card, cash (in person), bank certified funds or Paypal within 24 hours of bid closing. Within 72 hours of bid closing, Buyer must send remainder balance of funds by bank wire transfer, cash (in person), or bank certified funds to Seller. At time of sending initial deposit, Buyer MUST fax copy of their State issued valid Driver License and contact dealer. Furthermore, before said vehicle is released for shipment to Buyer, all other Sale related and title related paperwork must be signed and returned complete to Seller. Copyright © 2017 Auction123 - All rights reserved. - Disclaimer +- Auction123 (a service and listing/software company) and the Seller has done his/her best to disclose the equipment/condition of this vehicle/purchase. However, Auction123 disclaims any warranty as to the accuracy or to the working condition of the vehicle/equipment listed. The purchaser or prospective purchaser should verify with the Seller the accuracy of all the information listed within this ad. Selling a Vehicle? Create Professional Listings Fast and Easy. Click Here! FINANCING AVAILABLE!! 2017 RAM 2500 Big Horn 4x4 Manual Cummins Diesel Crew Cab Long Bed Truck Backup Camera, Stock# 170952 Vehicle Information Stock: 170952 VIN: 3C6UR5JL2HG624409 Mileage: Price: $50,731.00 Trans: Manual Engine: 6.7-Liter I6 Cummins Turbo Diesel Engine Drivetrain: 4WD MSRP: $59,440.00 ? Apply Now Secure Credit Application Applying for a vehicle loan online is one of the quickest and easiest application methods. Our secure application is easy to complete, all you need are a few personal and employment details. Message We are Kernersville Chrysler Dodge Jeep Ram, also known as 31Dodge, and in 2015 we sold over 6000 vehicles via eBay across the USA from our small hometown of Kernersville, North Carolina. We were awarded #1 Ram Truck Dealer in the Southeast two years in a row and third in US sales. As a large volume dealer we can offer you the lowest pricing in the Southeast on used vehicles and some of the best deals on new vehicles. Call our eBay Hotline to get approved today or get cash for your vehicle! Description ********************************************************************************************** Note: Do you own a business? Business owners may qualify for extra rebates. Some of the rebates are already included in Internet price Give us a call today to see if you qualify! Please call on our eBay Sales Hotline: (888)-626-0383 for more colors, trims, vehicles and Dealer rebates. ********************************************************************************************** When calling or emailing, please reference stock number 170952. On new vehicles we offer free shipping up to 300 miles and competitive rates on shipping outside that range with our professional in-house shippers! Request a shipping quote. Alternatively, we also offer a $500 credit good towards your preferred shipper or towards one airfare ticket to our dealership so you can pick up your vehicle in person and drive it home! Read more on this below. We stock over 1500 vehicles in inventory and can find the right vehicle at the right price for you! Our in-house shippers offer highly competitive shipping rates to all four corners of the US. MORE ABOUT THIS 2017 Ram 2500 SLT Truck Crew Cab LB BACKUP CAMERA! This 2017 RAM 2500 BIG HORN CREW CAB 4X4 LONG BOX includes the following features: Package: 2EZ,Exterior Color: Bright White ,Interior Color: Black / Diesel Gray ,Interior: Cloth 40 / 20 / 40 Premium Bench Seat,Engine: 6.7-Liter I6 Cummins® Turbo Diesel Engine ,Transmission: 6-Speed Manual G56 , Advanced Multistage Front Airbags,Tire Pressure Monitoring Display,Trailer Brake Control,Remote Keyless Entry,Sentry Key® Theft Deterrent System,Media Hub (USB, Aux),Remote USB Port - Charge-Only,Air Conditioning,6 Speakers,Temperature and Compass Gauge,Rear Under Seat Storage Compartment, As well as the following options: Big Horn Package 2EZ ,Anti-Spin Differential Rear Axle,Uconnect® 8.4 ,A/C Auto Temperature Control with Dual Zone Control,20-Inch x 8-Inch Painted Alum Whls w/Chrome Insrts ,ParkSense® Rear Park Assist System,ParkView™ Rear Back-Up Camera , and much more! Please check the window sticker for a complete list of equipment. Kernersville Chrysler Dodge Jeep Ram in Kernersville, NC is located in the heart of North Carolina between Charlotte, NC and Raleigh, NC. We specialize in NO hassle out of state purchases; we process your taxes, tags and title work for the city and state where the vehicle will be registered. View the window sticker. WHY BUY ONLINE? We sell over 500 vehicles per month and eighty percent of those vehicles are sold online, with customers never having to step foot inside our dealership! Our professional internet staff is available to assist you with any question or part of the process from start to end. Buying online with us provides convenience and more selection of vehicles at the right price for you. WE HAVE THE BEST PRICES IN THE MARKET! All of our new vehicles include savings and dealer holdback (hidden profit) that are passed on down to you. The price listed includes everything except taxes, tags, and our documentation fee - more on that below. We sell cars all over the world because our prices are the best! GREAT SHIPPING DEALS! On new vehicles we offer free shipping and trade-in pick up within 250 miles from our location in Kernersville, NC. Alternatively, we offer complimentary airfare up to $500 USD and free shuttle pick up at Greensboro, Charlotte, or Raleigh airports. Give us a call to schedule your trip or get a free shipping quote. FINANCING AVAILABLE! When it comes to financing we can normally meet or beat the rate you have (WAC). Give us a try; we are a full service dealer, and we deal with over 40 lenders and do all the heavy work for you. If you finance with us, we will collect all taxes and tags in your State and complete all the paper work for you. You can find our secure application here: finance application. TRADE-IN OFFERS OVER THE PHONE! Give us call to obtain a Site Unseen Trade-in Appraisal and we'll make you an offer over the phone. Make sure to have all basic information regarding your vehicle ready for our internet consultant such as VIN number and condition of the interior and exterior, including tire tread and vehicles history. MORE ABOUT US We are located in the heart of the Triad, between Greensboro, Winston-Salem, and High Point. We sell most of our vehicles online and are proudly the LARGEST heavy-duty truck dealer east of the Mississippi. We have a large inventory and it refreshes from week to week. We have an internet team dedicated to just our online customers and all of their needs. Our Internet team is available Monday-Friday 9AM-8PM EST and Saturday 9AM-6PM EST. If you reach us after hours we will return your call and email promptly on the next business day. We look forward to making you a part of our family! REVIEW ALL TERMS For all new vehicles we will collect all taxes and tags applicable for your State. All taxes and fees must be paid in full in order for vehicle to be titled and registered. We are required to charge ALL customers a documentation fee of $599.50. Please review the Terms of Sale before placing your bid or making an offer. While every reasonable effort is made to ensure the accuracy of this listing, we are not responsible for any errors or omissions contained on this page. Please verify any information in question with Kernersville Chrysler Dodge Jeep Ram prior to bidding! ? ? Terms The information in this listing, including incentives/specials, shipping rates/deals, airline deals, etc. may be subject to change at any point in time and is different from State to State. We ask that you please give us a call or send us an email to ensure the pricing and all deals are correct as of today's date. We make every effort to update everything as soon as changes are made to present accurate information, but may experience a delay due to our sources feeding information through or other reasons out of our direct control. Listed price may also reflect pricing incentives not applicable to all customers. Reflected incentives may include Fast Start Bonus Cash, Month end Bonus Cash, Conquest Bonus Cash, Chrysler Capital Bonus Cash, Owner Loyalty, Up-Fit Bonus cash, Sub-Prime Bonus Cash, Trade-in Bonus Cash and more. We make every effort to present information that is accurate. However, it is based on data provided by the vehicle manufacturer and/or other sources and therefore exact configuration, color, specifications & accessories should be used as a guide only and are not guaranteed. We are not liable for any inaccuracies, claims or losses of any nature. Inventory is subject to prior sale and prices are subject to change without notice and cannot be combined with any other offer(s). The price for listed vehicles as equipped does not include other charges such as: License, Title, Registration Fees, State or Local Taxes, Smog Fees, Credit Investigation, Optional Credit Insurance, Physical Damage of Liability Insurance, Delivery Fees, Finance and/or Documentation Fees. Any and all differences must be addressed prior to the sale of this vehicle. Placing a Bid: Please only bid if you've had your finances pre-approved or have cash on hand. In order to reserve your vehicle it is required to leave a $500 non-refundable deposit within 24 hours of winning the auction. Please do so through Paypal and give us a call immediately. If you do not have pre-approved finances or cash in hand, please contact us FIRST as we can help you obtain financing, and put together a great deal for you. Please read eBay's User Agreement before bidding and the "Finalizing Your Purchase" section below for more information. Kernersville Chrysler Dodge Jeep Ram reserves the right to: Obtain and verify the registered information of all users who bid on this auction and cancel any and all bids at their discretion, or end the auction early if necessary. Bidders Age: You must be 18 years of age or older to Bid. eBay's Bid Retraction Rules: If you place a bid BEFORE the last 12-hour period of the auction, you may retract your bid for exceptional circumstances. If you place a bid during the last 12-hour period of the auction: You will be allowed to retract the bid for exceptional circumstances but only if you do so within one hour after placing the bid. For detailed information on this eBay policy, please read: eBay's "Retracting a Bid" policy on their website. Funds & Financing: For help in arranging a Pre-Approved loan or for any questions please e-mail or call us at 888-626-0383 prior to bidding. Buyers Inspection: Kernersville Chrysler Dodge Jeep Ram has done it's best to disclose all information known about this vehicle for auction. Kernersville Chrysler Dodge Jeep Ram welcomes a buyers inspection. If you plan to have a buyers inspection, please make sure you inspect the vehicle prior to the auction ending and notify us of date/time of the inspection. Inspection fees, if any, are Buyers responsibility. Representations and Warranties made by seller: This vehicle is being sold "as is". Manufacturers warranties may still apply. Extended warranty may be available, e-mail or call us at 888-626-0383 for details. No representations or warranties are made by seller, nor are any representations or warranties relied upon by bidders in making any bids Taxes, Registration and Administrative fees: Used vehicles: Out of state buyers are responsible for all State, county, and city taxes and fees, as well as title service fees in the State that the vehicle will be registered in. New vehicles: We collect all State, county, and city taxes and fees, as well as title service fees on New vehicles. All taxes and fees must be paid in full in order for vehicle to be titled and registered. All Vehicles: We are required to charge ALL customers our Administration fee of $599.50. Title Information: Vehicles titles may be held by banks or lenders as collateral for loans. In many cases there is a delay in receiving the original instruments up to 21 days from the time we pay a vehicle off. While we usually have all titles in our possession at closing, there are occasions where we may be waiting for them to arrive. If payment is made by cashier's or personal checks, we will hold all titles for 10 days or until funds have cleared. Shipping & Delivery: All shipping charges are buyer's responsibility. Kernersville Chrysler Dodge Jeep Ram will help with shipping arrangements but will not be responsible in any way for claims arising from shipping damage. Licensed Carriers are generally insured for $3,000,000.00. We assume no responsibility for damages incurred after the vehicle leaves our showroom. All shipping arrangements are provided by Kernersville Chrysler Dodge Jeep Ram as a courtesy. We are not affiliated with any carrier. Any claims or other communication regarding shipment of vehicles will be between you and the shipper, not with Kernersville Chrysler Dodge Jeep Ram. The amount of time it takes for delivery is dependent on the carrier, but is generally 7-14 days from the date the vehicle is picked up from our facility until it is delivered to your destination. Verify with the shipper for an Estimate Time of Arrival to be sure. Finalizing your Purchase: Successful high bidder MUST communicate with Kernersville Chrysler Dodge Jeep Ram by e-mail or phone 888-626-0383 within 24 hours of the auction ending to make arrangements to complete their transaction. If we cannot confirm your intention to buy or the sale is not completed within 5 days, we reserve the right to relist this vehicle or sell to any other qualified buyer. In order to secure bid on vehicle, successful bidder (BUYER) must send to Seller a Non-refundable Deposit in the amount of $500 by major credit card, cash (in person), bank certified funds or Paypal within 24 hours of bid closing. Within 72 hours of bid closing, Buyer must send remainder balance of funds by bank wire transfer, cash (in person), or bank certified funds to Seller. At time of sending initial deposit, Buyer MUST fax copy of their State issued valid Driver License and contact dealer. Furthermore, before said vehicle is released for shipment to Buyer, all other Sale related and title related paperwork must be signed and returned complete to Seller. Copyright © 2017 Auction123 - All rights reserved. - Disclaimer +- Auction123 (a service and listing/software company) and the Seller has done his/her best to disclose the equipment/condition of this vehicle/purchase. However, Auction123 disclaims any warranty as to the accuracy or to the working condition of the vehicle/equipment listed. The purchaser or prospective purchaser should verify with the Seller the accuracy of all the information listed within this ad. Selling a Vehicle? Create Professional Listings Fast and Easy. Click Here!